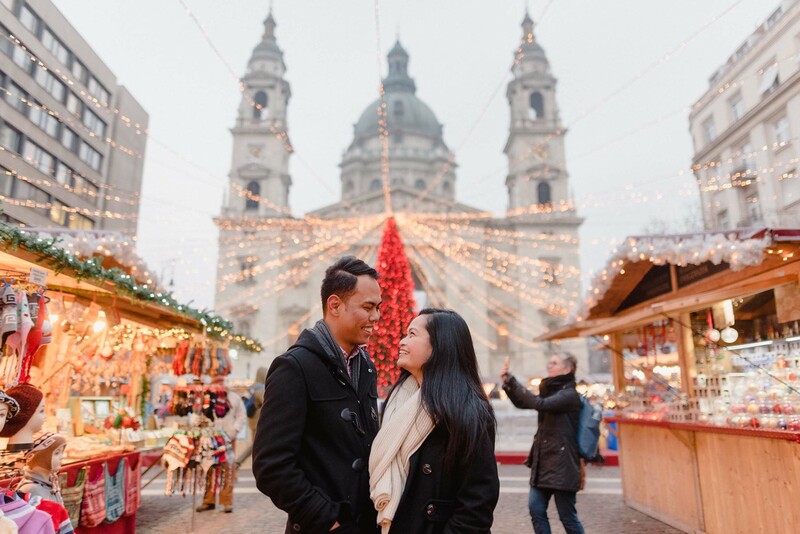 This has to be my favourite time of year. 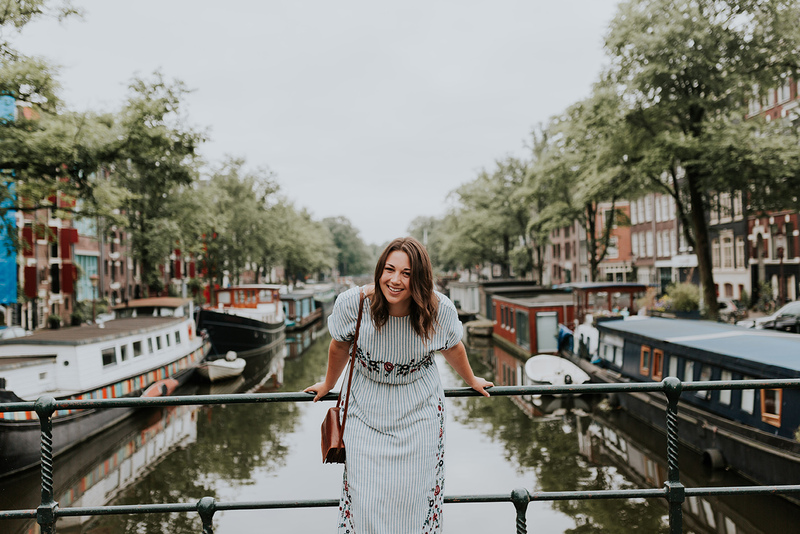 I’m not talking about Christmas or summer holidays, or even when the cherry blossoms start to pop (all moments I do love, by the way). 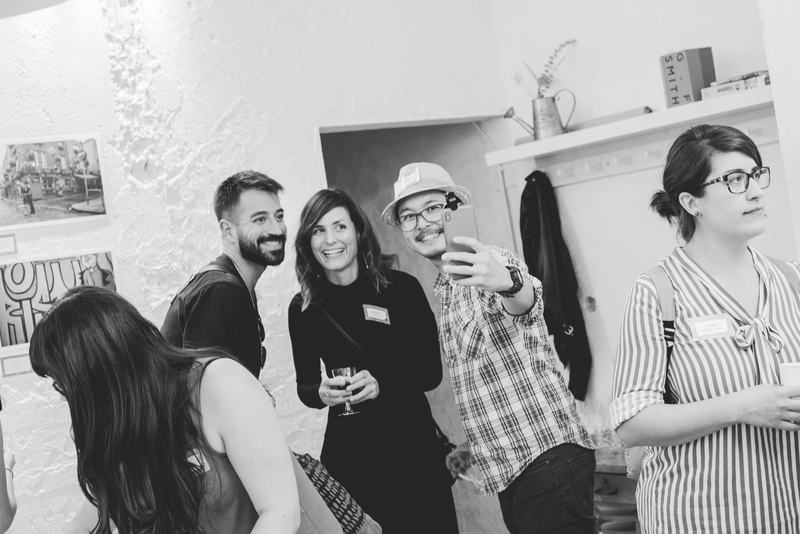 No, the best time of year is when Flytographer hosts our annual Global Meetup. 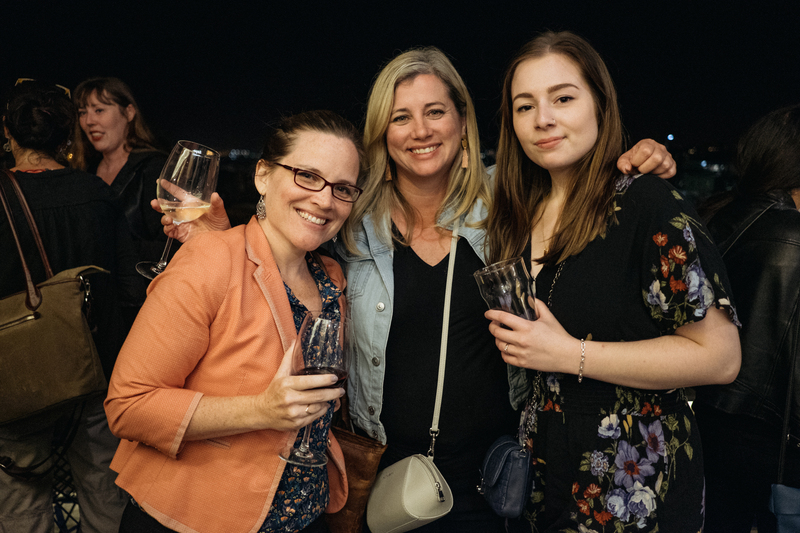 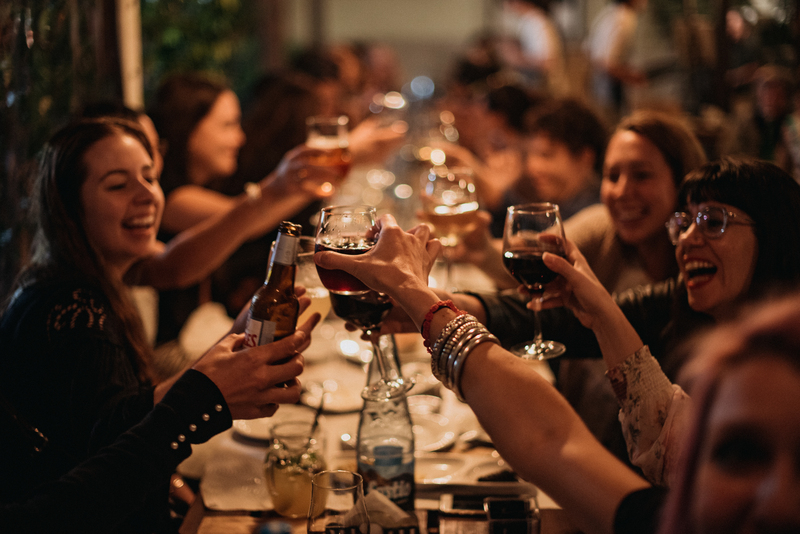 This is an event where our photographers have the opportunity to come together in a fun location for three days of workshops, photo walks, brainstorming, collaborating, learning, networking, and of course, lots of sampling of the local food and wine scene. 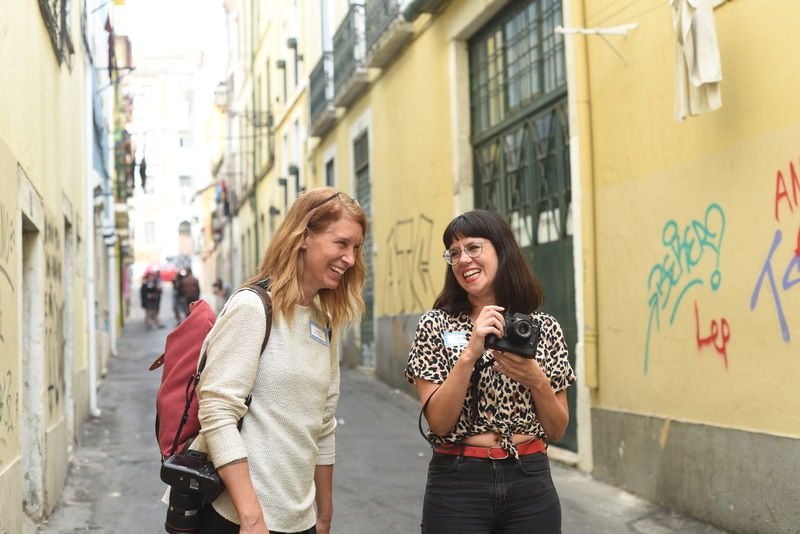 We chose the gorgeous city of Lisbon, Portugal as our meetup base for 2018, and found it to be the perfect backdrop to our activities. 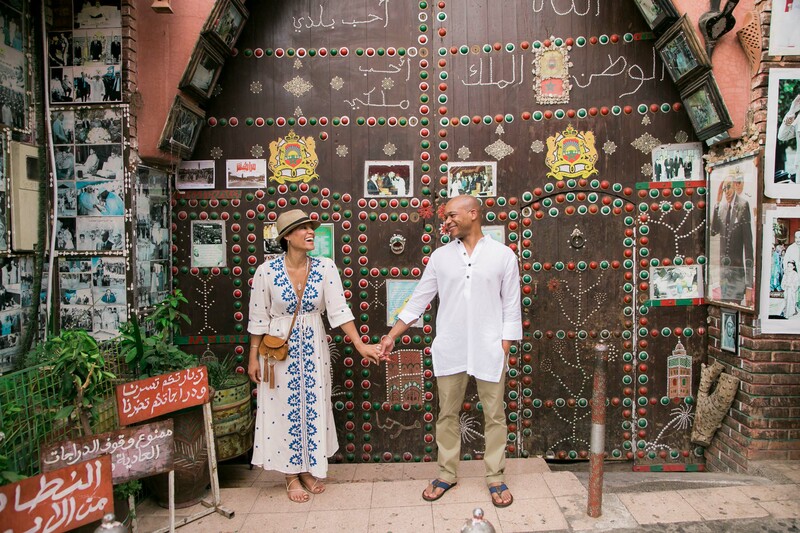 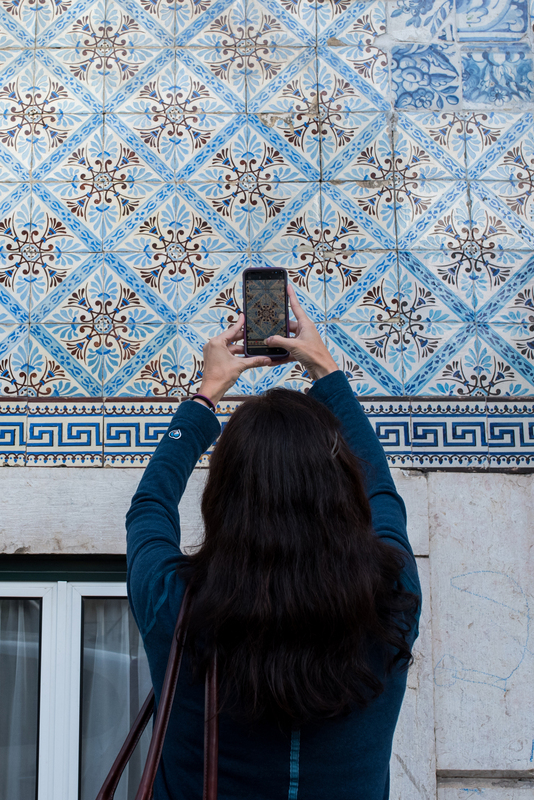 We could not have been more inspired by the colours, the patterns (those tiled walls! 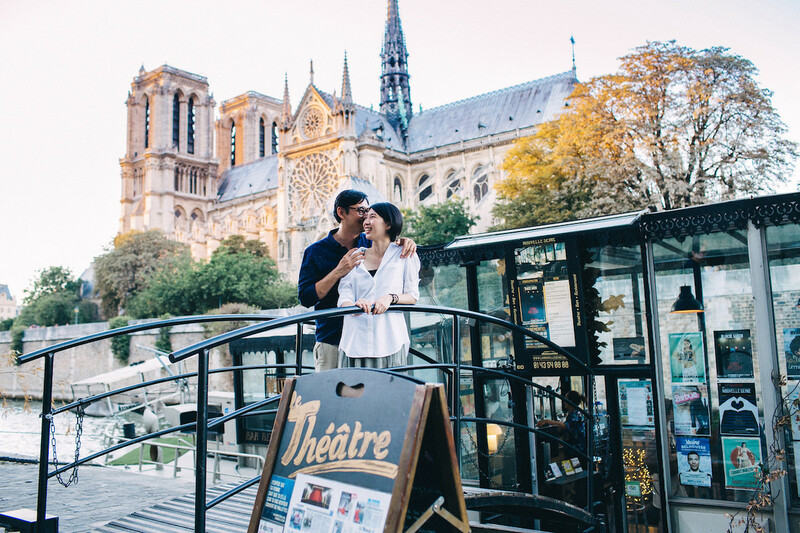 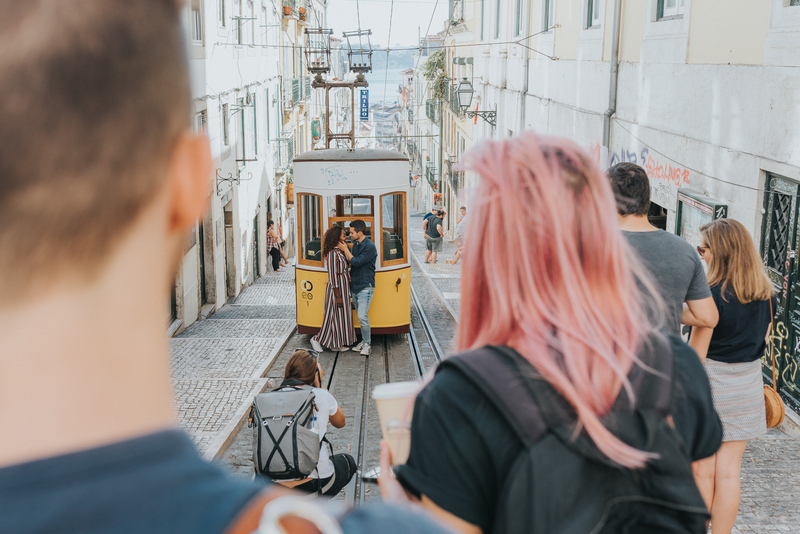 ), the yellow trams, the warm fall sunshine, the cobblestone streets (mostly running up or downhill), the architecture, the friendly people, and the many incredible viewpoints from each of the city’s famous lookouts. 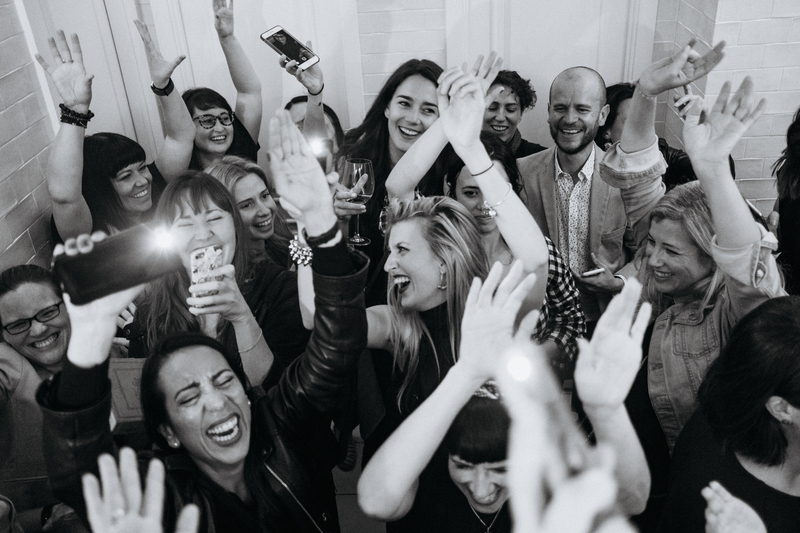 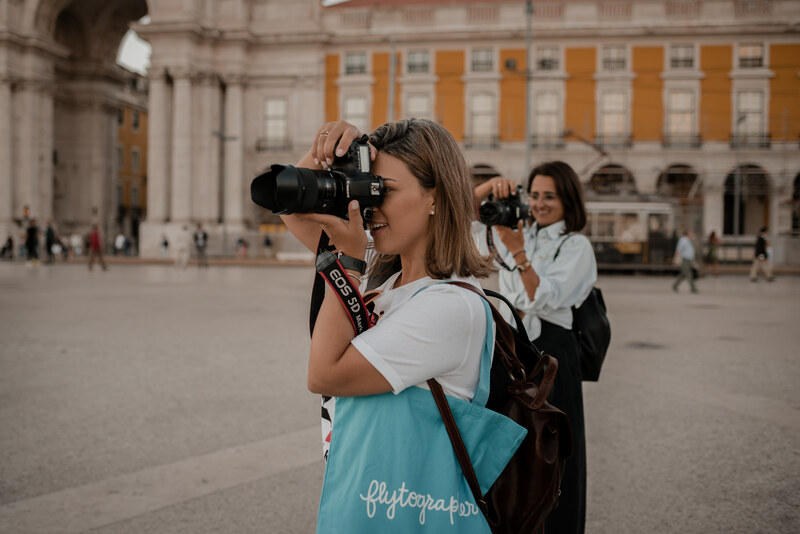 As the person in charge of Flytographer’s photographer recruitment and community, what makes this event special for me is that I get to witness the magic of our global team come together in one place. 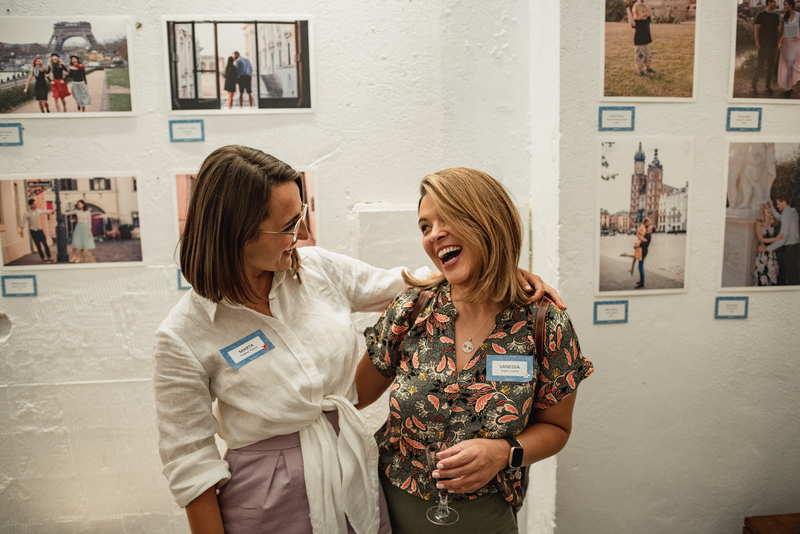 After months or even years of communicating only via email, social media, or Skype, finally, we meet in real life! 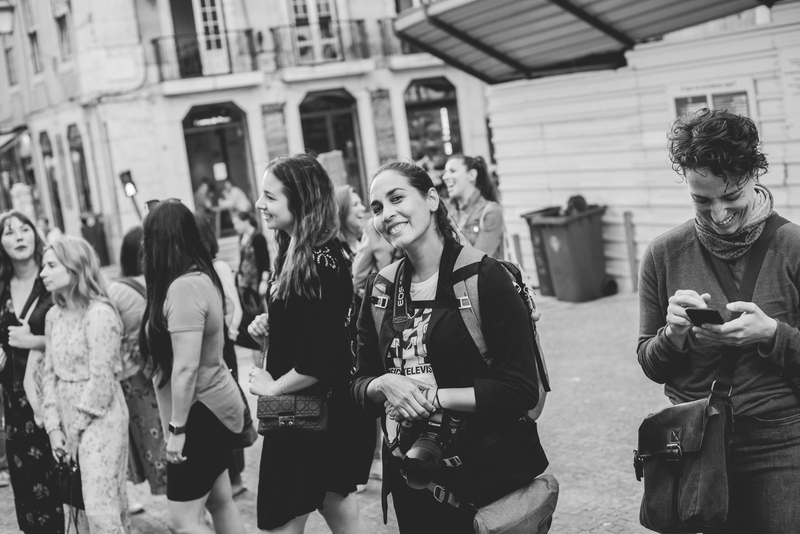 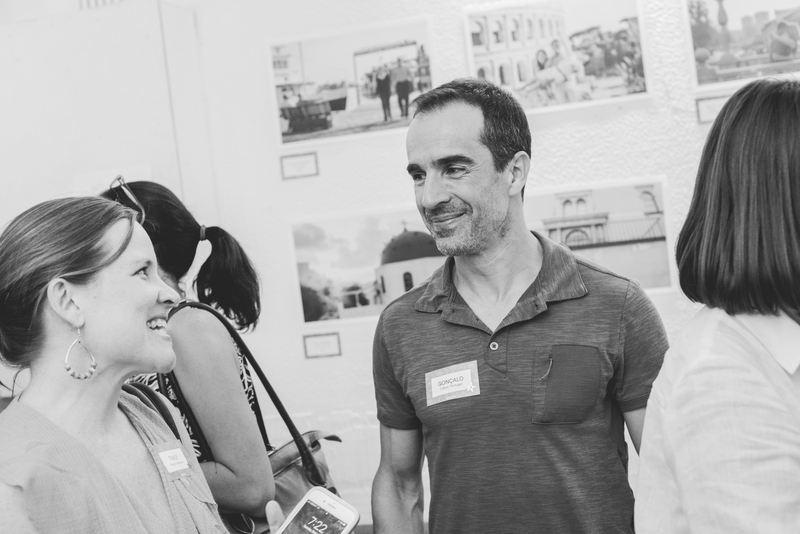 In the end, it doesn’t really matter where we host our meetup (though a standout city like Lisbon certainly adds to it); the very best thing about our Global Meetup is the chance for our photographers to connect with each other in person – such a valuable thing in what can be a solitary profession. 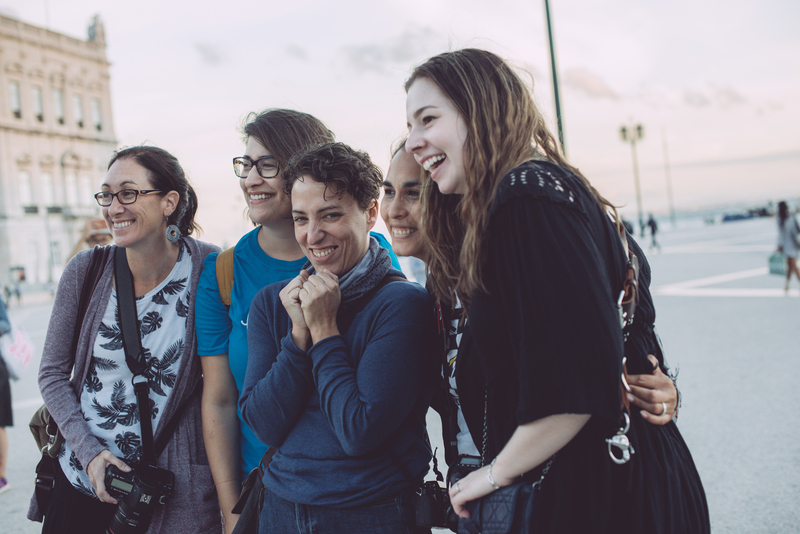 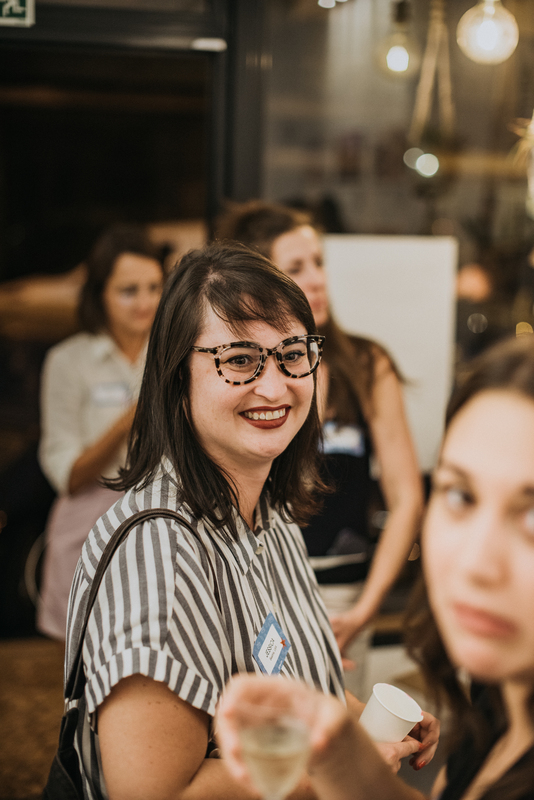 It is so gratifying for me to see the friendships that are created and renewed each year, and it simply reaffirms what I already know: that our community is strong and full of human beings with giant hearts who care not only about their work, but more importantly, about the people around them. 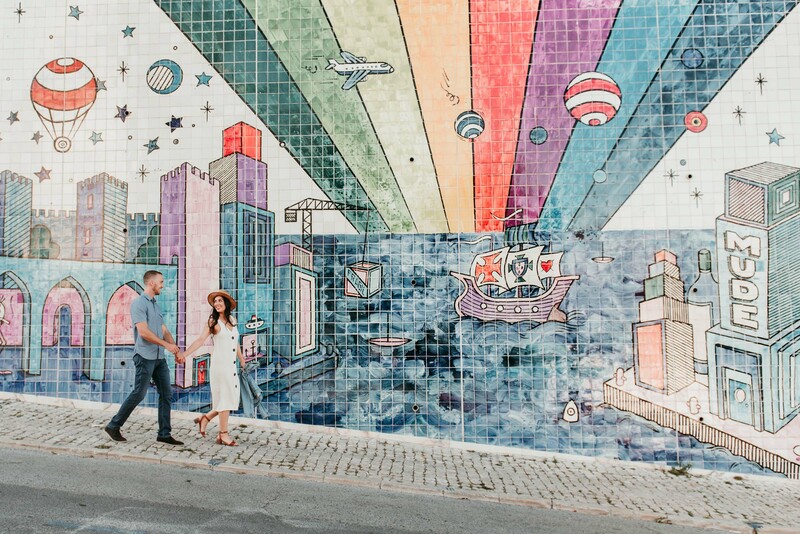 After months of planning, it was finally here! 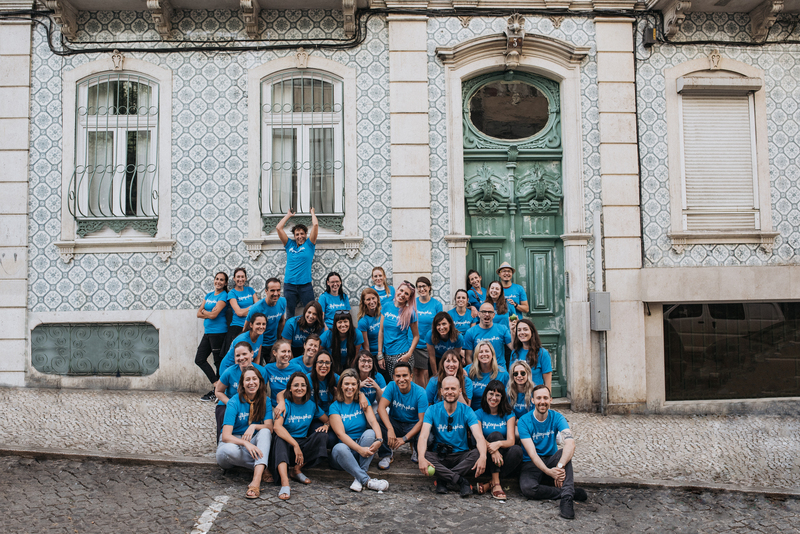 The afternoon sun kissed our cheeks as our group of 40 came together for the first time in beautiful São Domingos square. 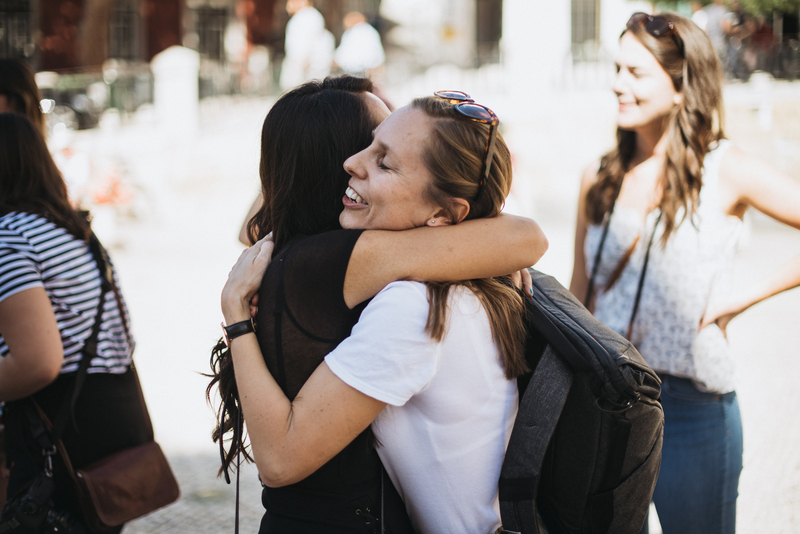 It took no time at all for old friends to embrace and new friends to shake hands, ready for the meetup to begin. 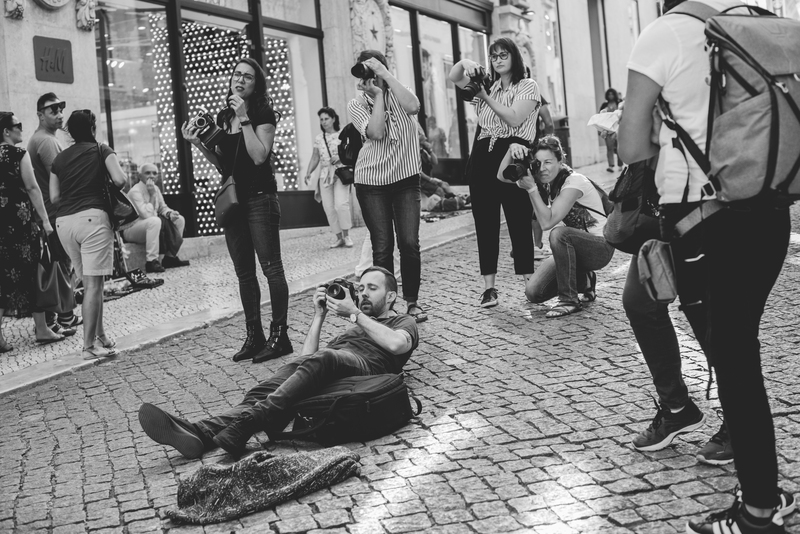 We were kicking it all off with a guided photo walk around the streets with models (friends of one of our Lisbon photographers) to practice posing techniques and watch each other in action. 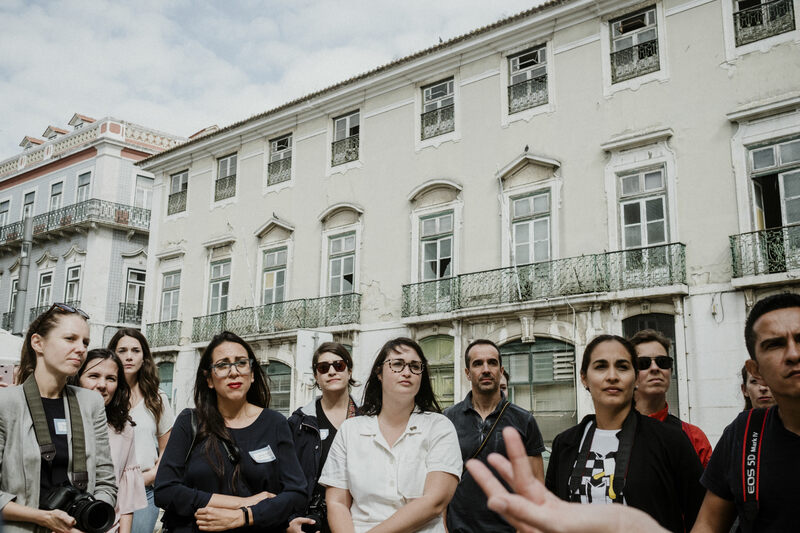 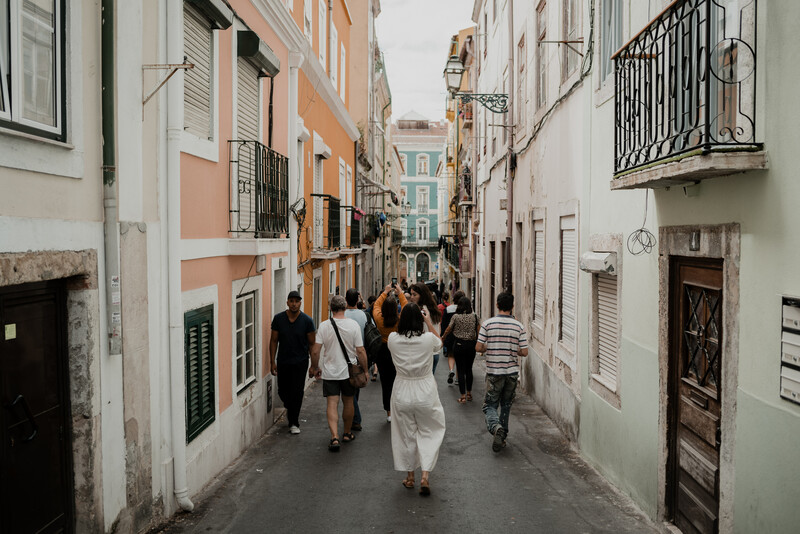 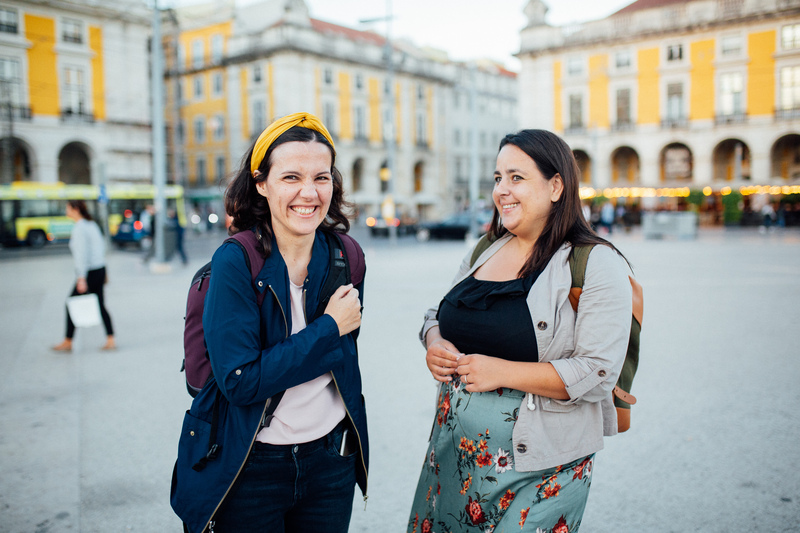 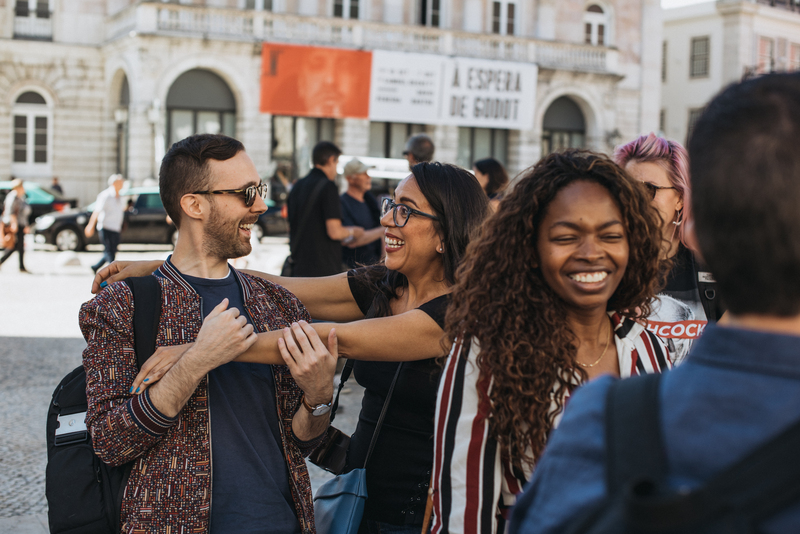 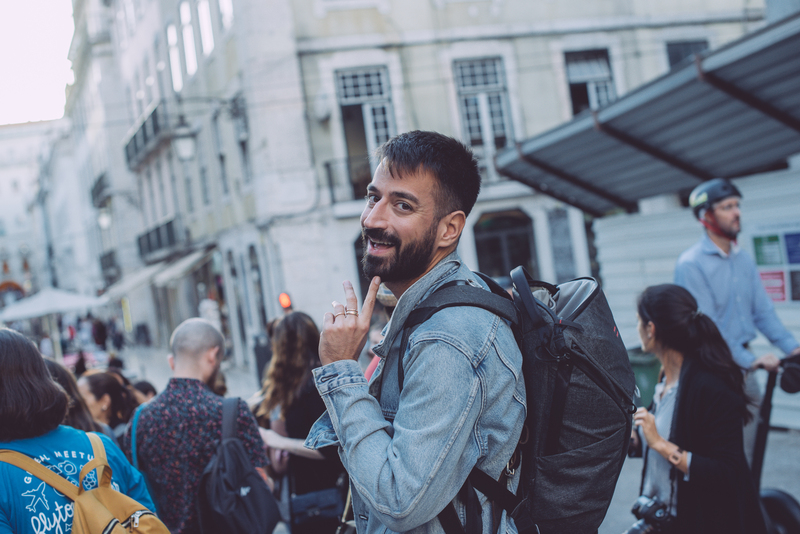 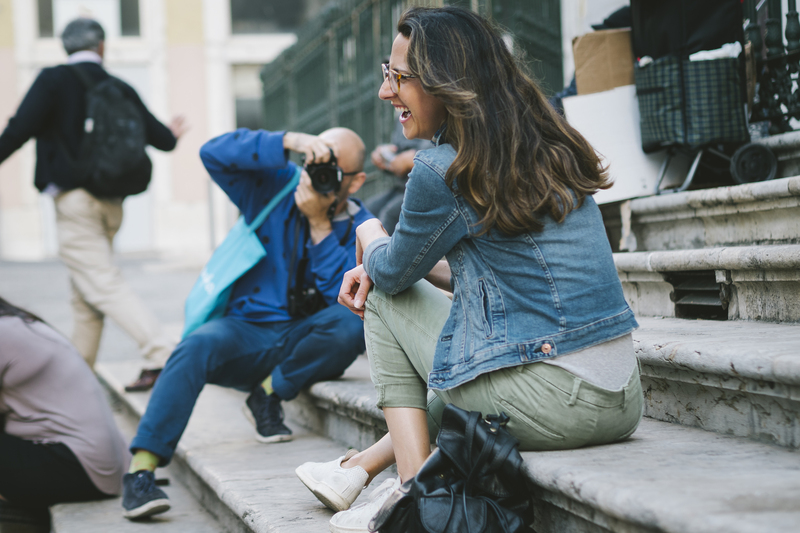 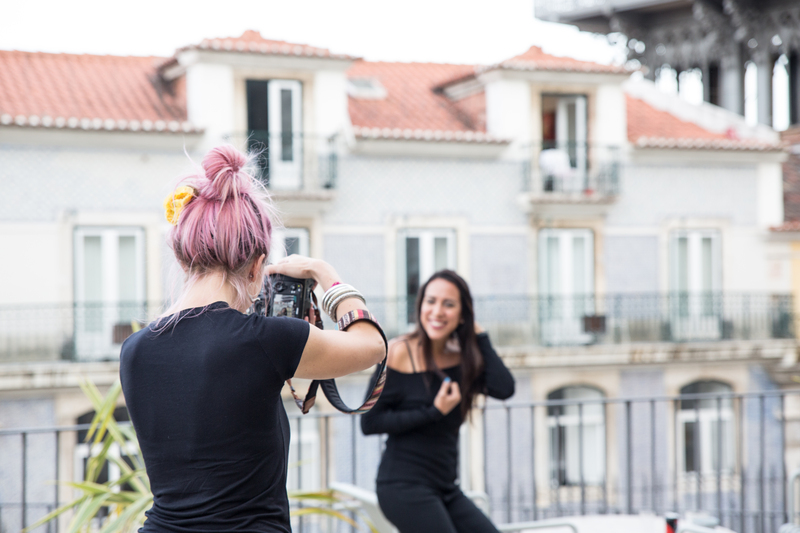 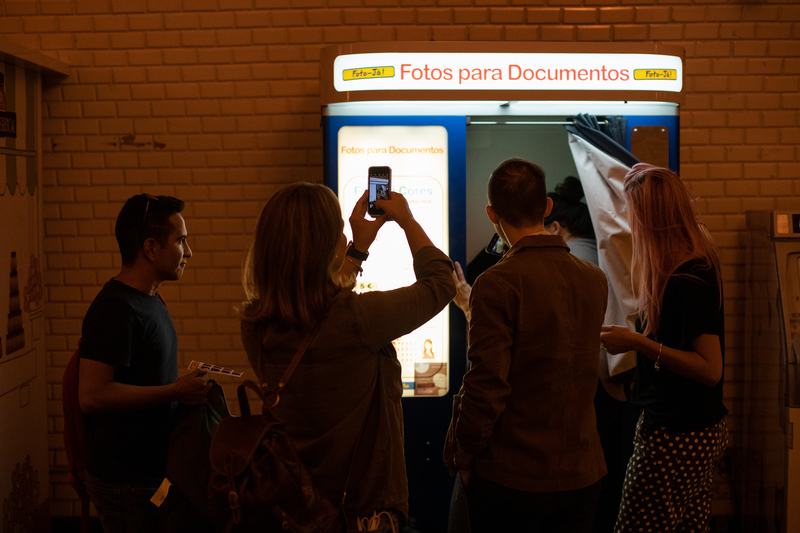 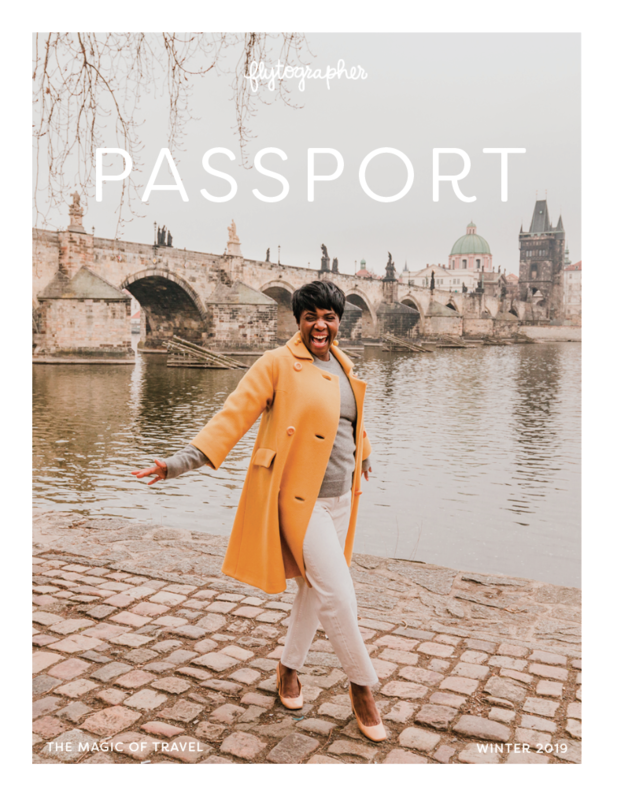 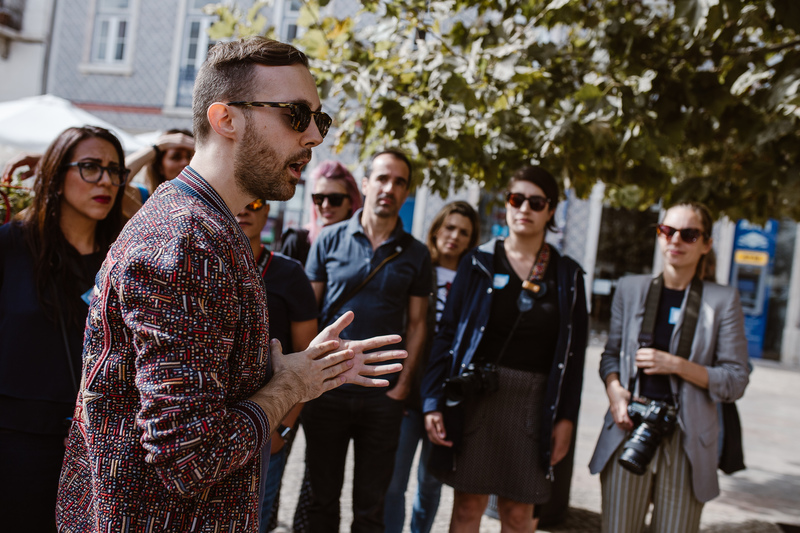 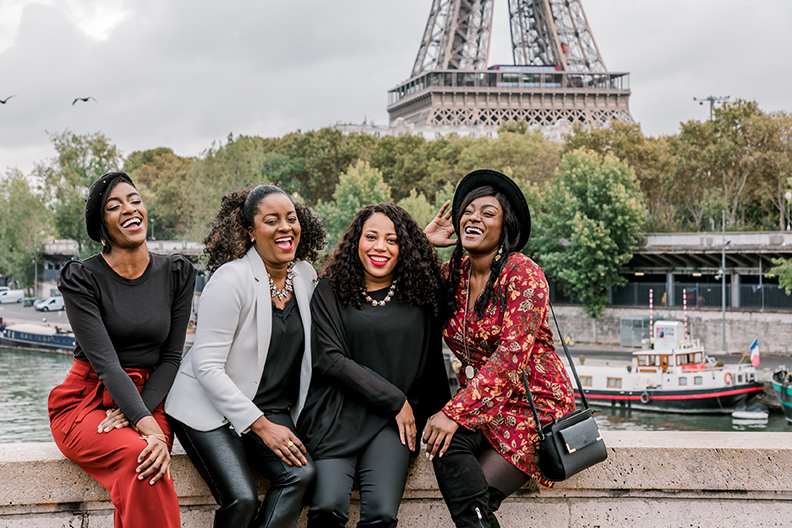 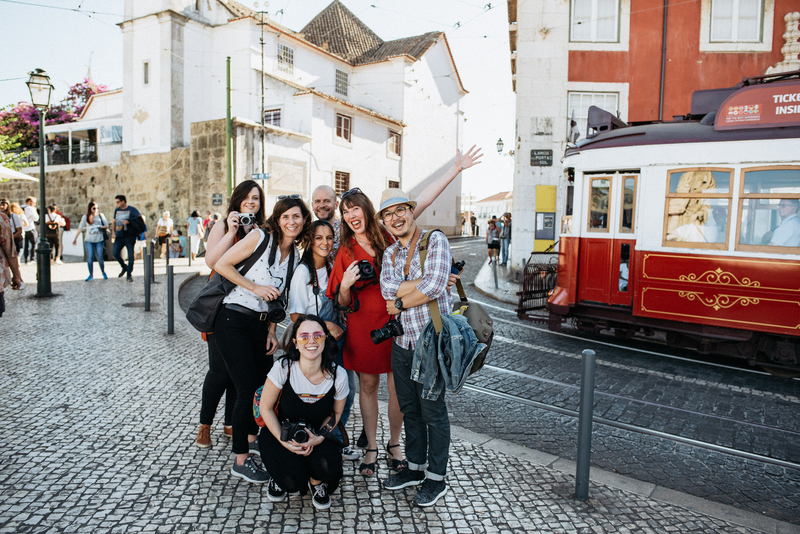 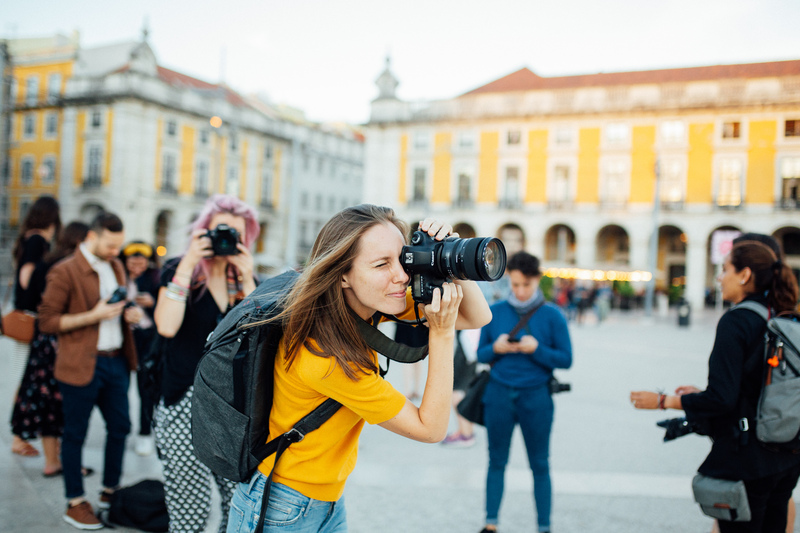 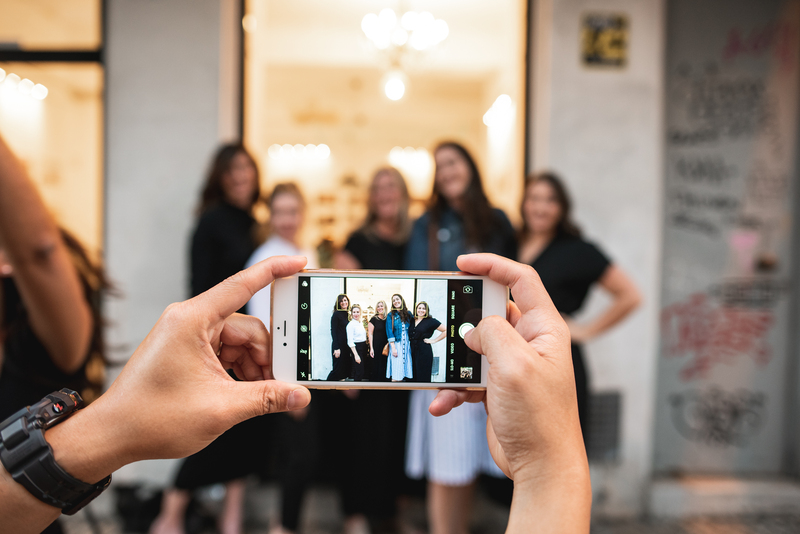 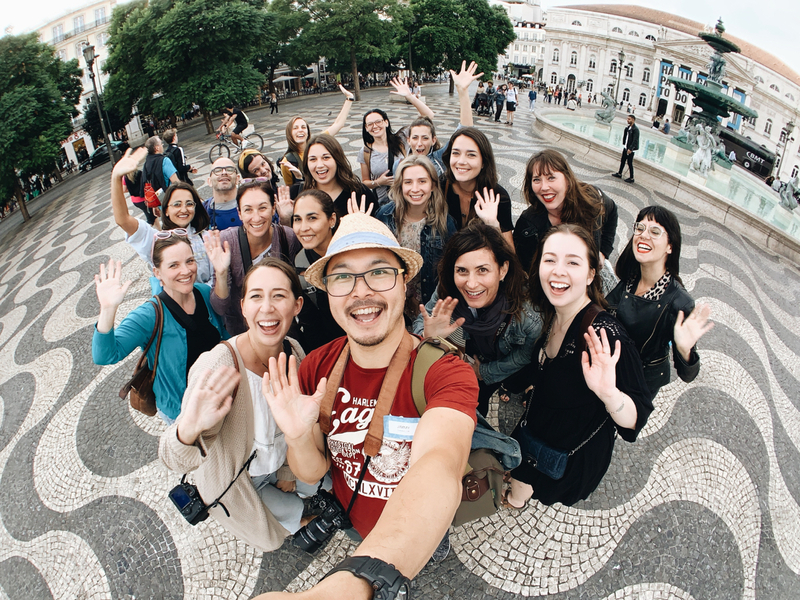 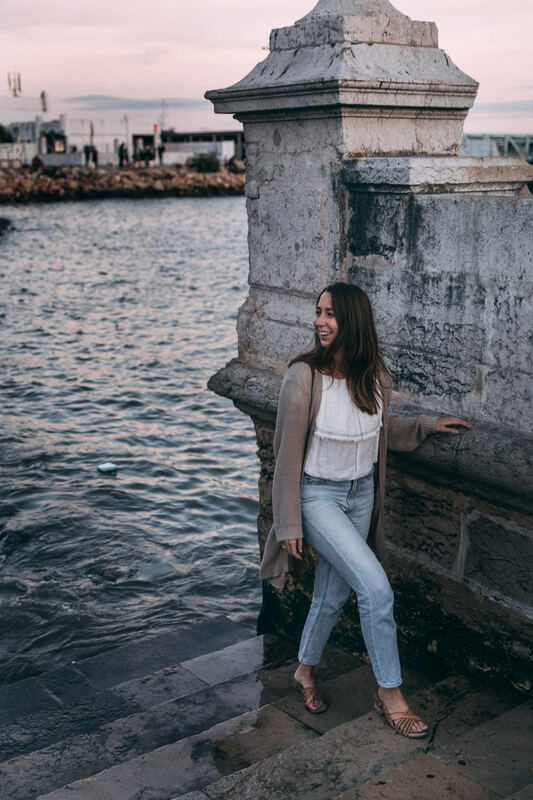 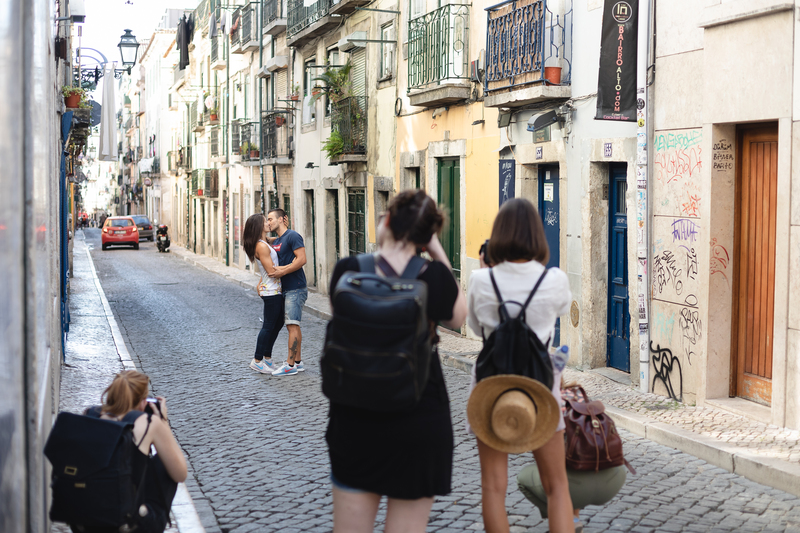 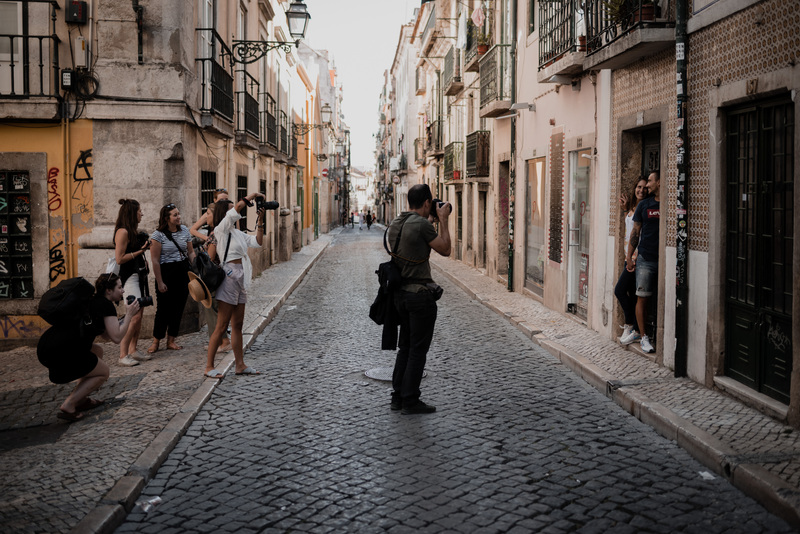 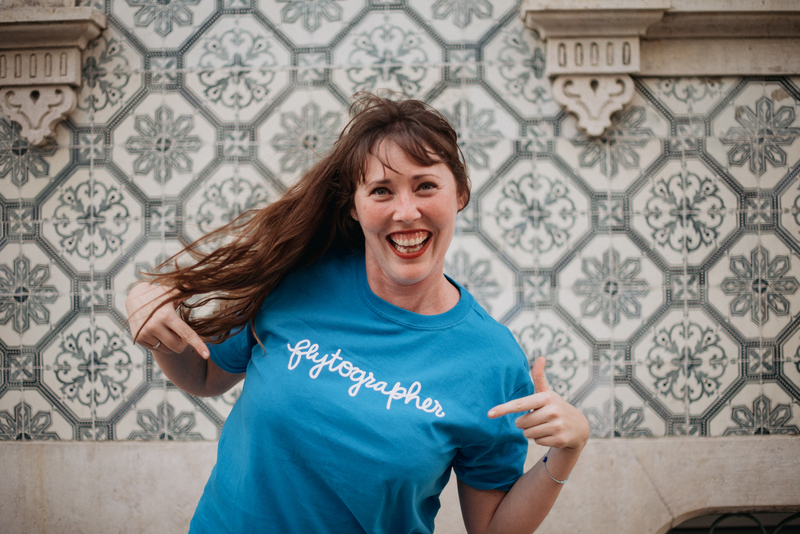 We split up into four groups, each with a set of models and a local photographer to make sure we didn’t get lost in the city’s labyrinth of streets, and ventured out into the neighbourhoods of Chiado, Bairro Alto and Alfama. 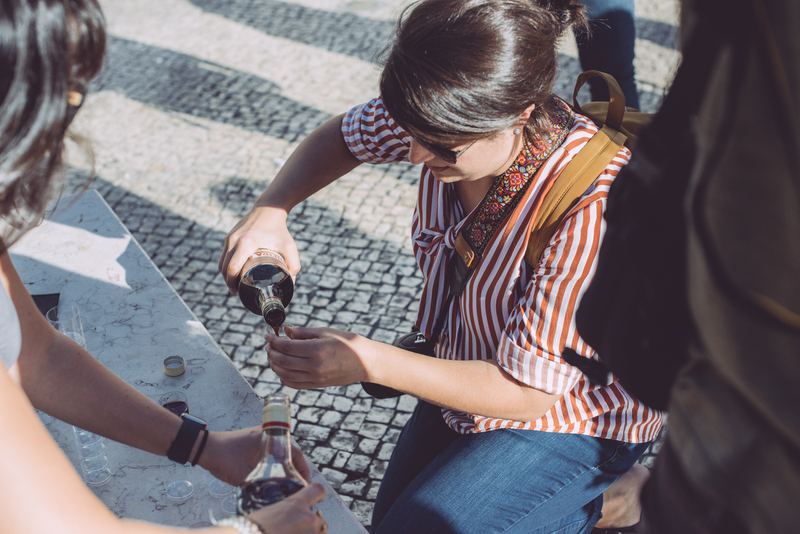 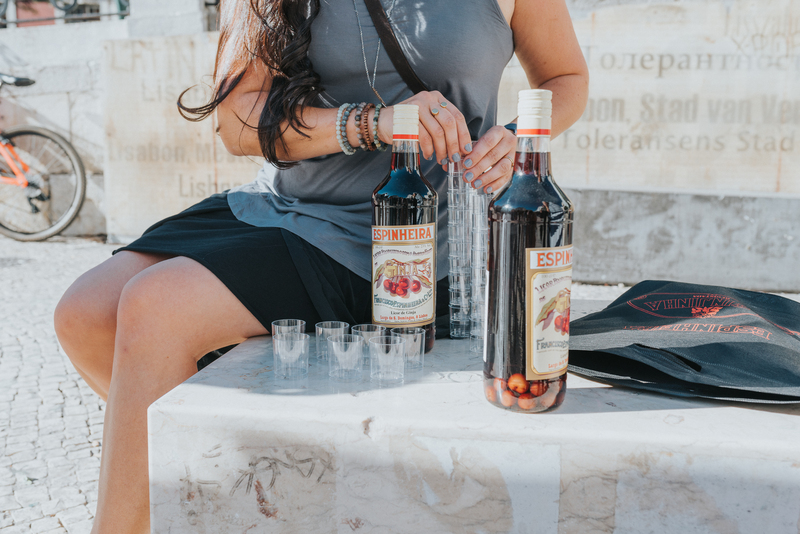 After a couple of hours and thousands of shutter clicks later, our group reconvened in the square, where we had bottles of Ginjinha, Portugal’s famous sour cherry liquor, ready to go. 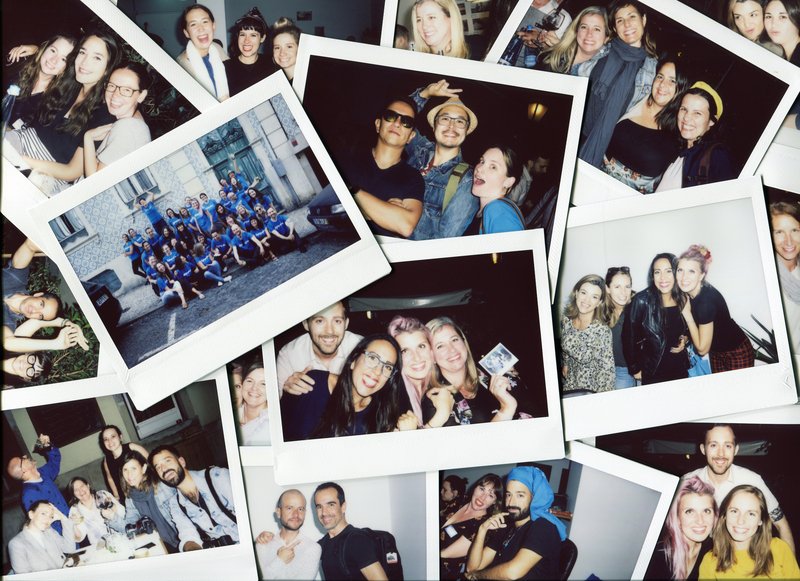 We each raised a shot glass to toast each other and the start of our annual Global Meetup. 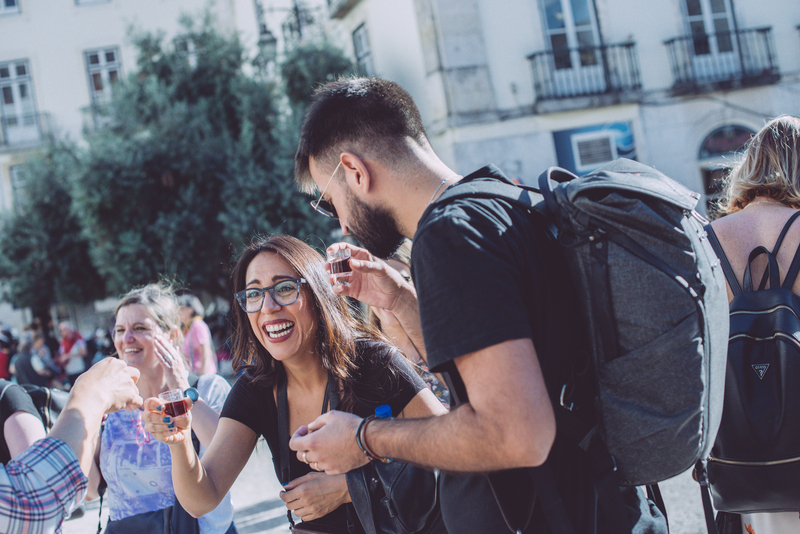 Saúde! 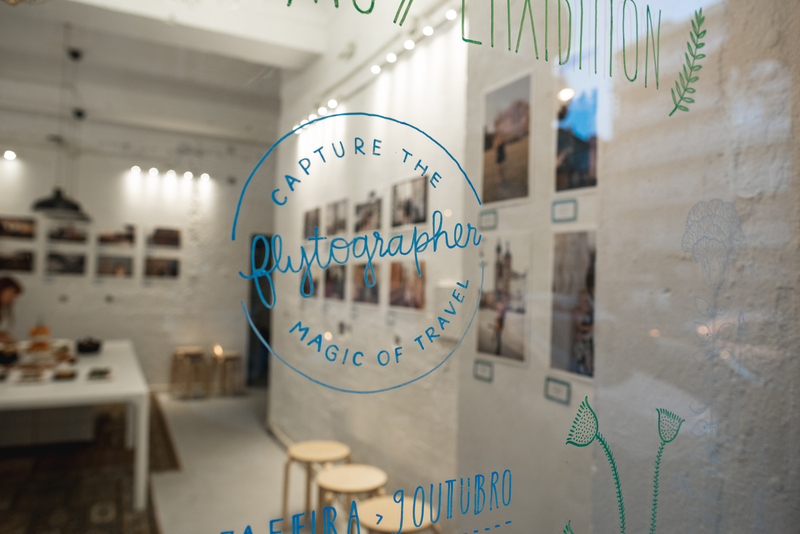 After the success of our first photo walk, I was even more excited for that evening’s event: our very first gallery exhibition featuring Flytographer photos! 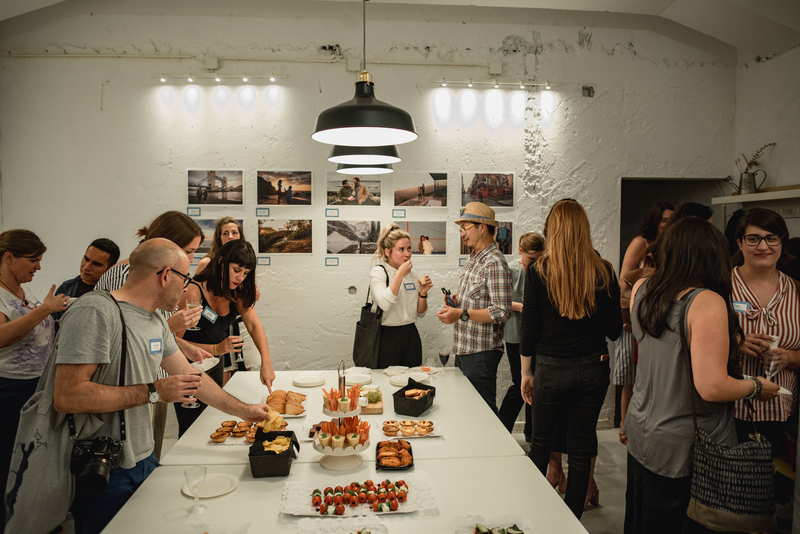 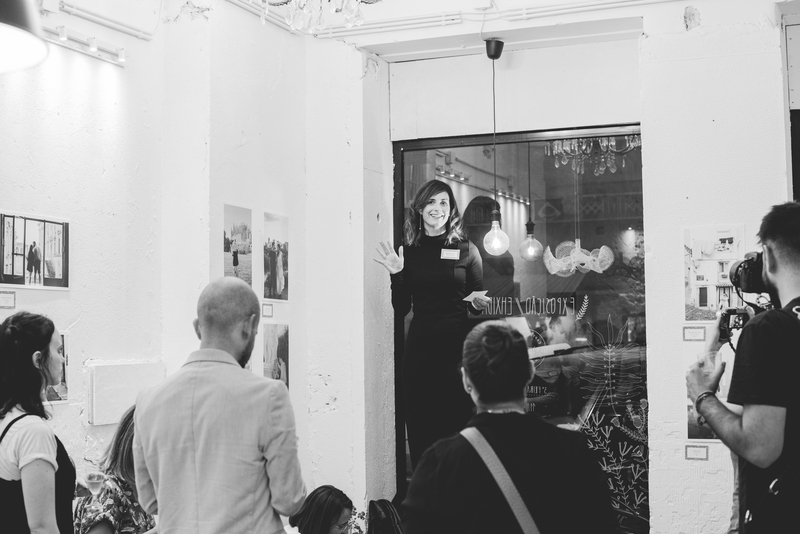 Favourite images from each of our meetup participants were displayed in a cool neighbourhood gallery called Sala d’estar; as a special one-day pop-up show, the public was invited to visit the space during the day. 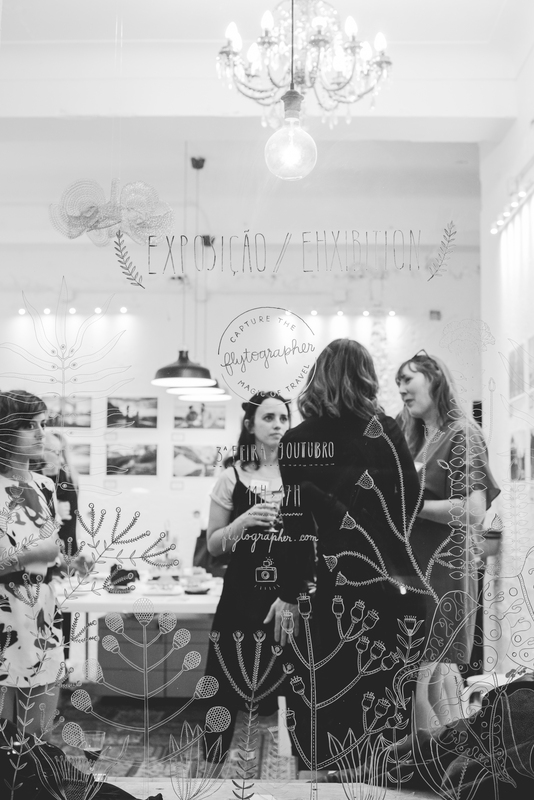 In the evening, we took over the gallery for our private event, with nothing but wine, food, photography, and friendship on our minds. 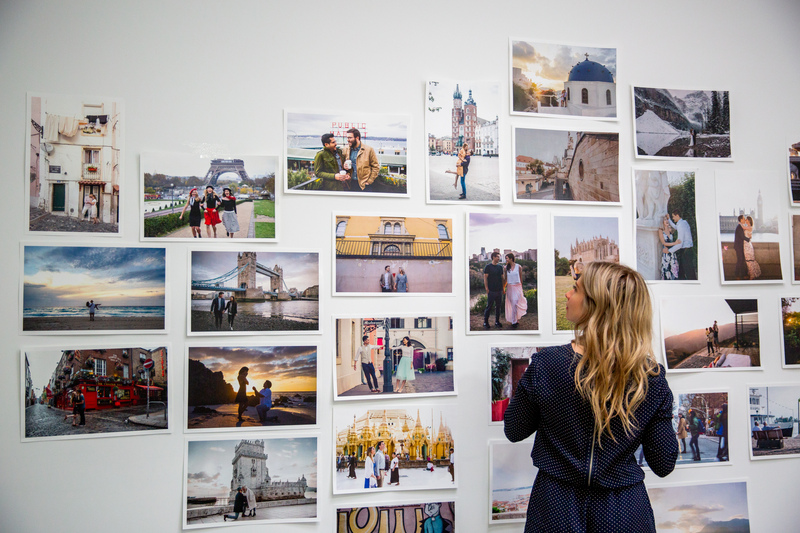 It was thrilling to see all our photographers’ beautiful work in a public space and feel their pride in being part of an international photography exhibition. 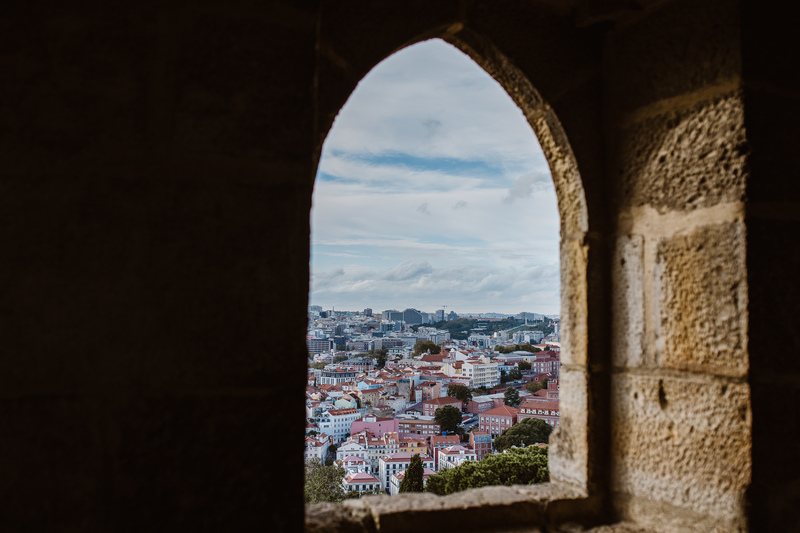 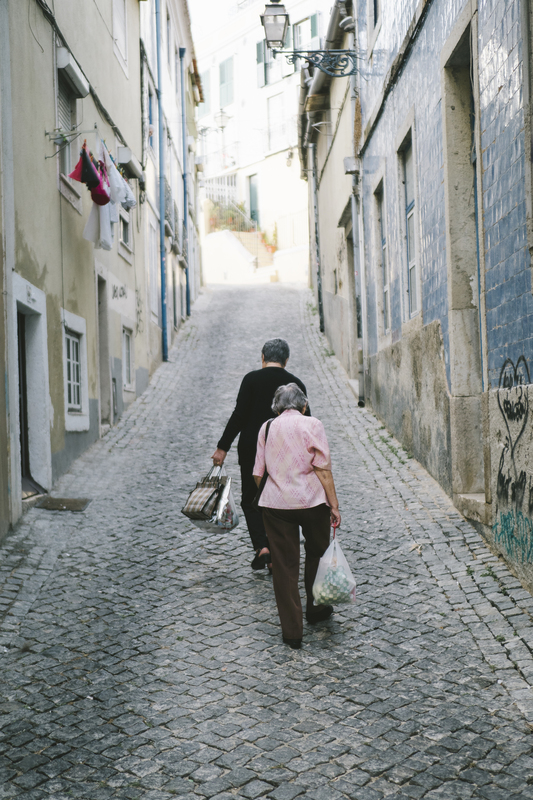 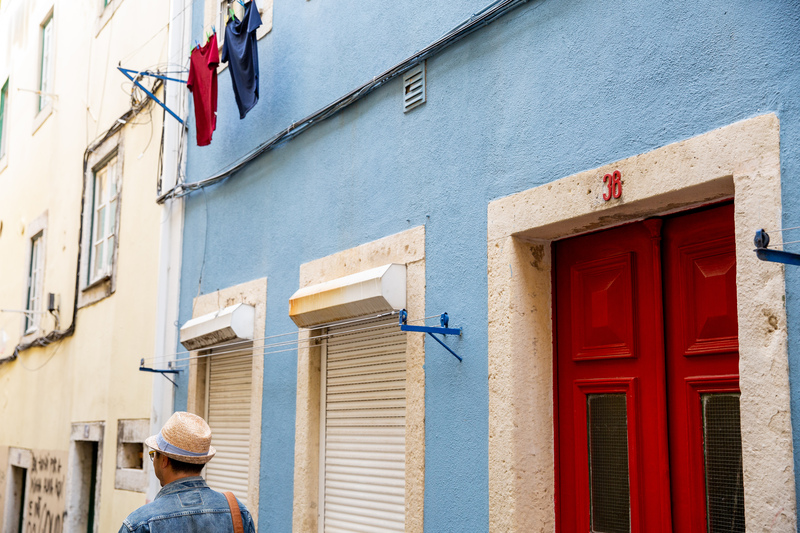 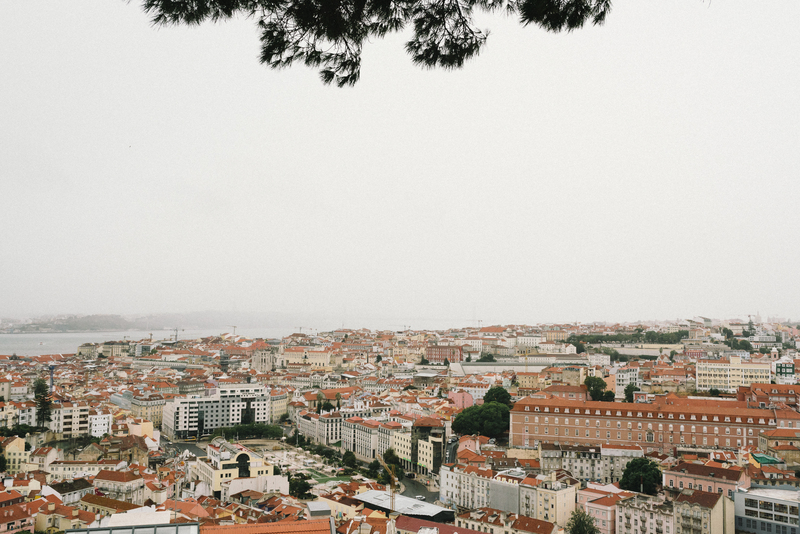 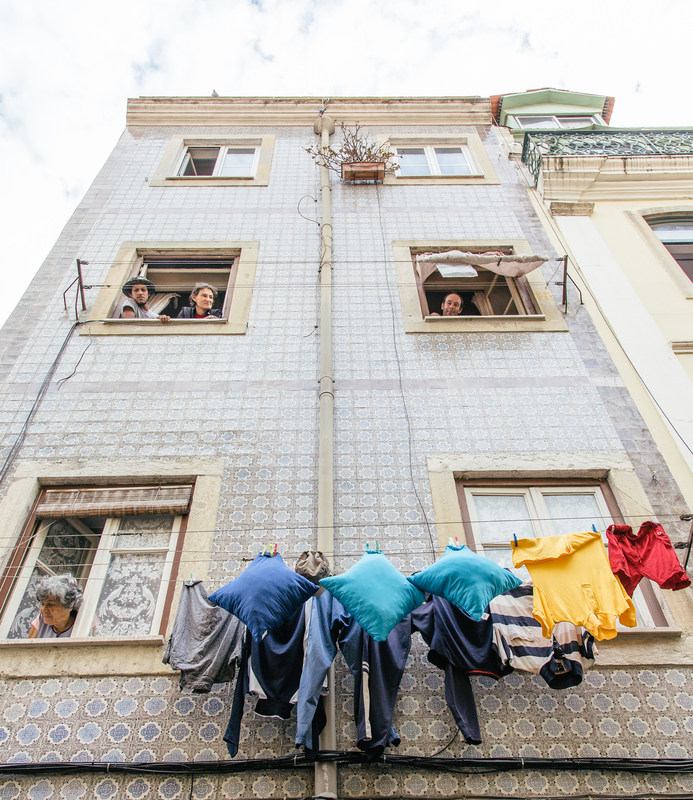 If you’ve been to Lisbon, you know that you can’t turn a corner without coming face-to-face with yet another beautiful vista or neighbourhood; the city is overflowing with streets and squares presided over by buildings swathed in colour and pattern. 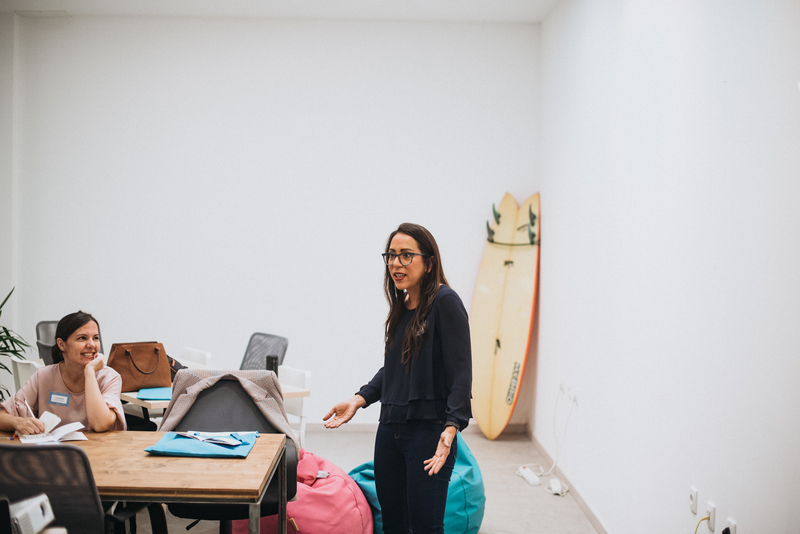 We chose a workshop space nestled within an eclectic, up-and-coming area called Intendente. 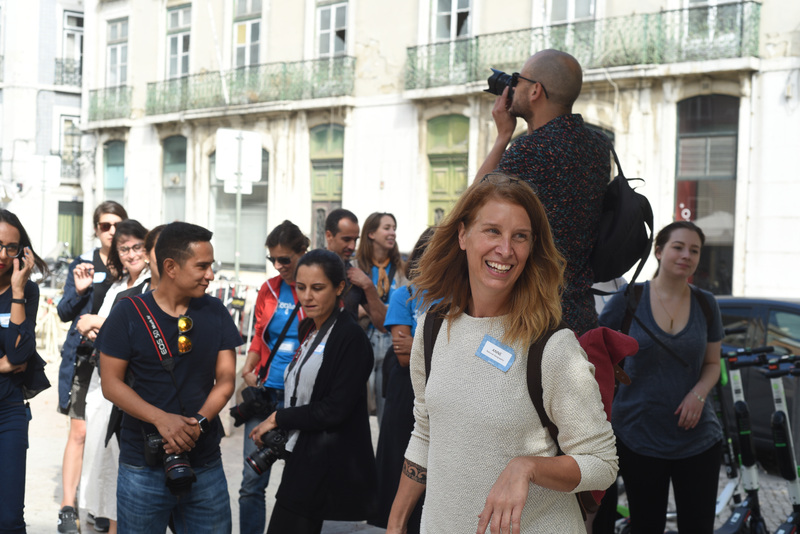 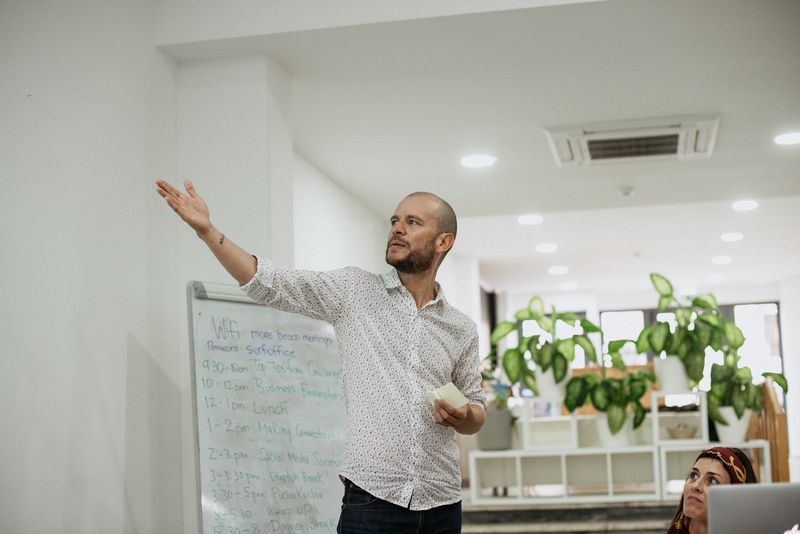 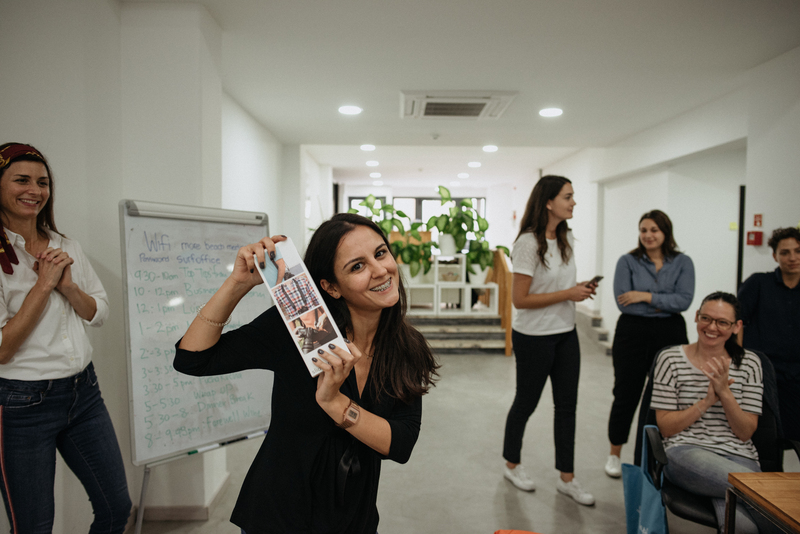 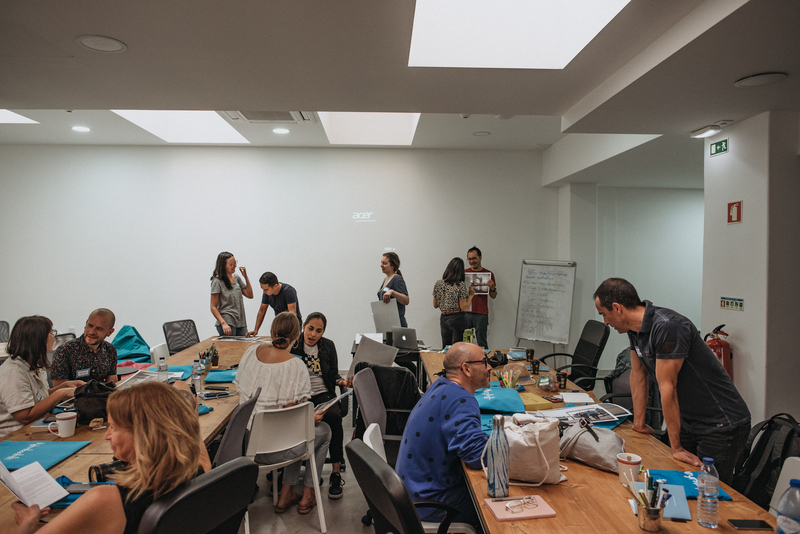 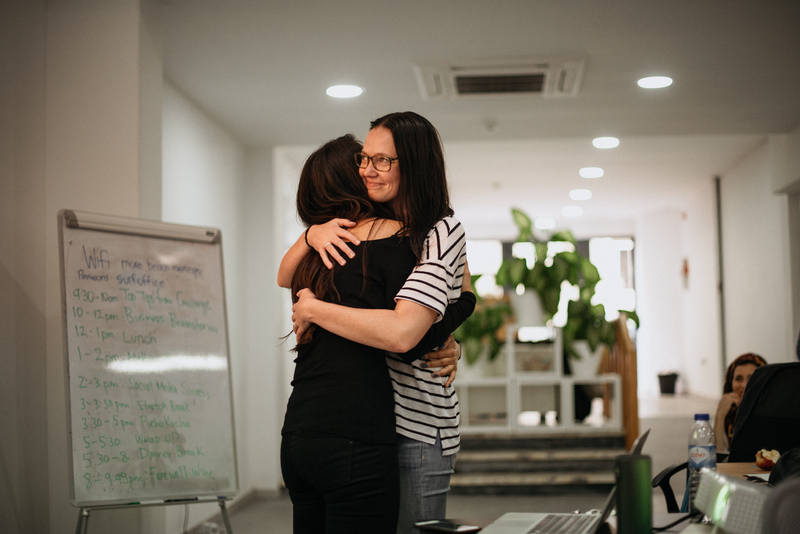 The Surf Office was the perfect place to set up camp for our event, away from the touristy crowds but close to trendy restaurants and elegant buildings covered in tile with the popular yellow tram running right by the front door, so we still felt right at the heart of Lisbon. 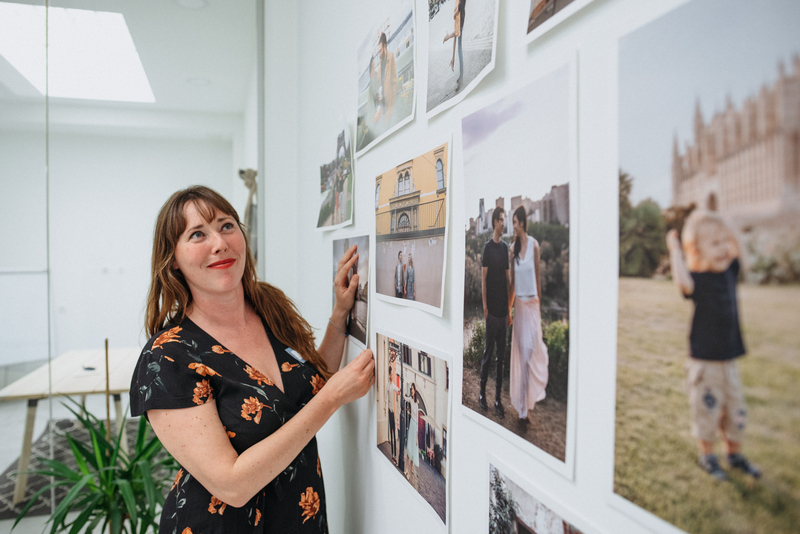 We got the first full day started by discussing our gallery photos with each other, and afterward, we created our own gallery wall within the office so we could enjoy each other’s work for a little longer. 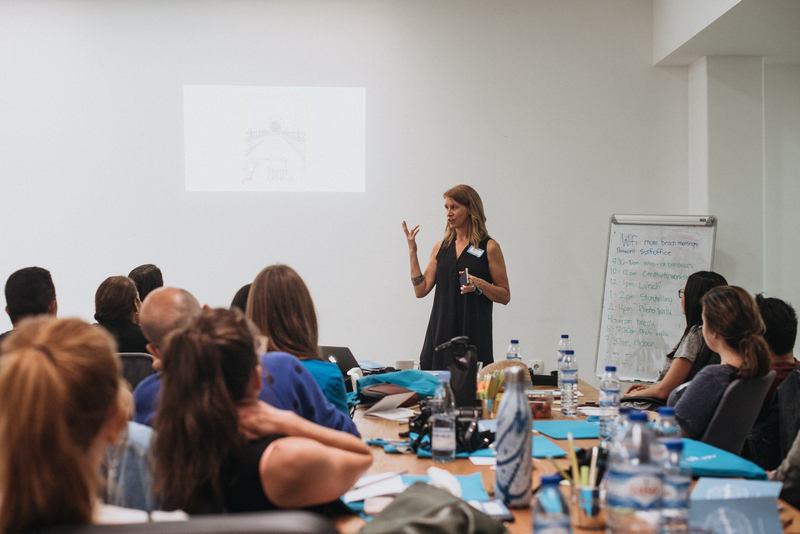 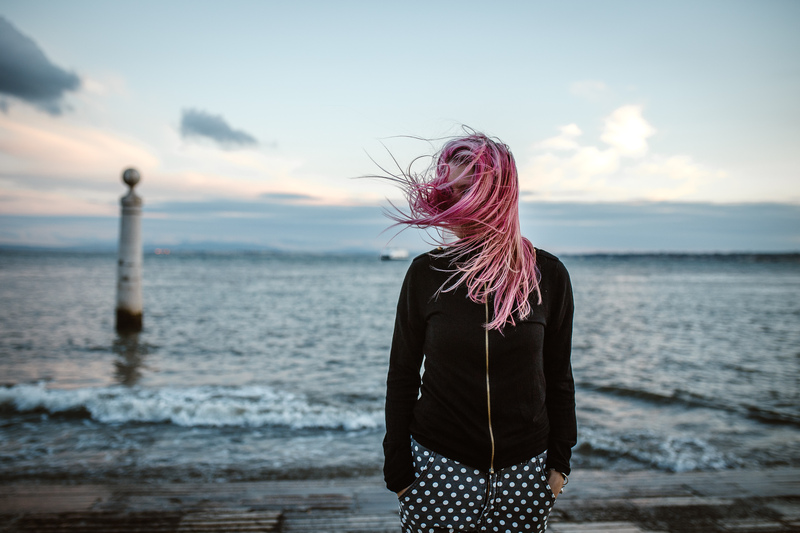 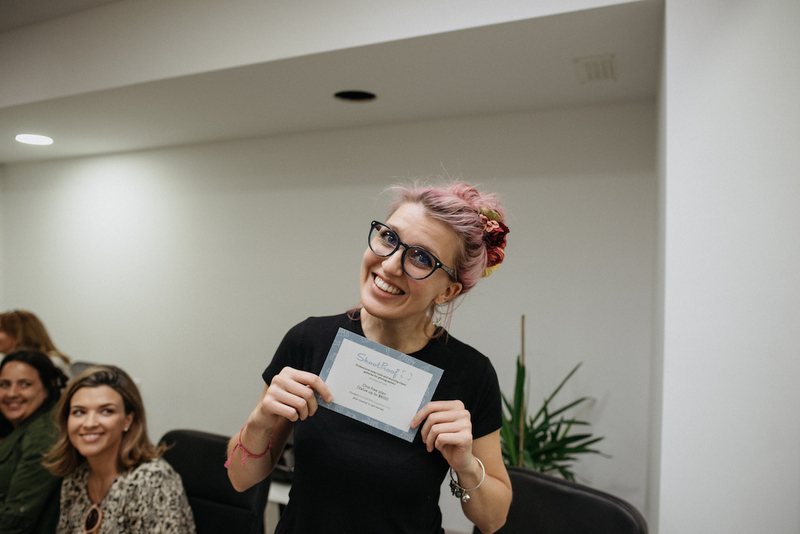 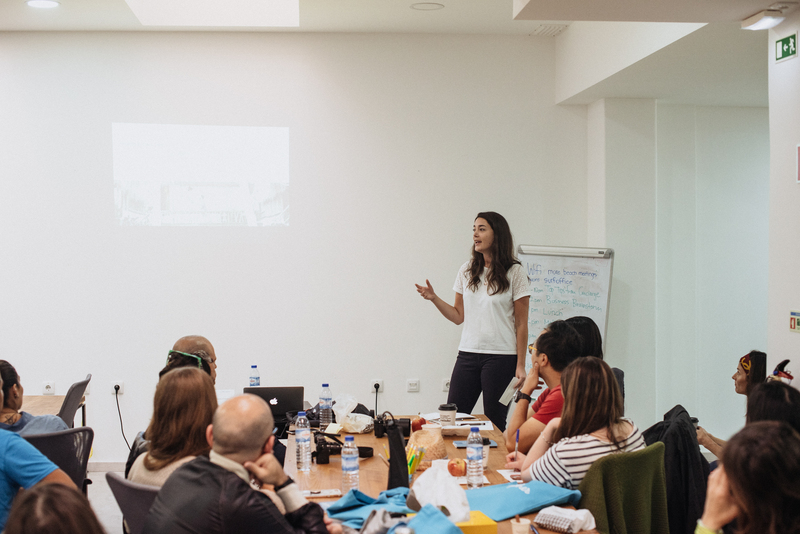 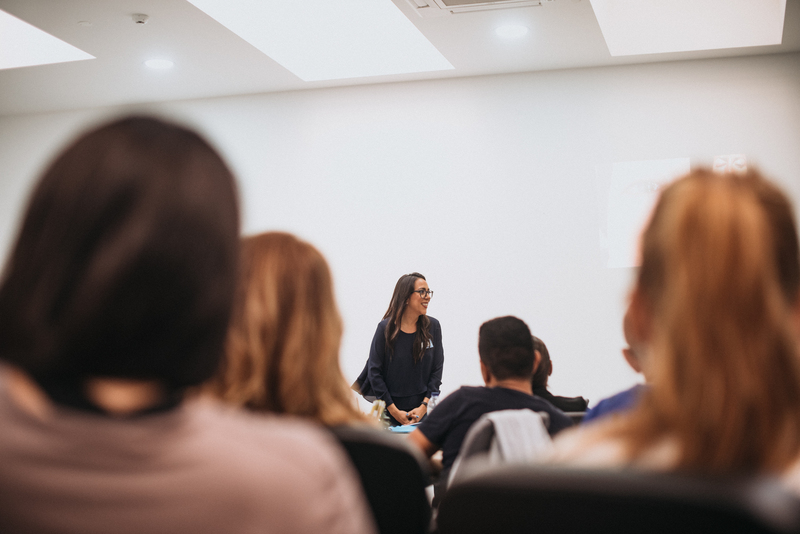 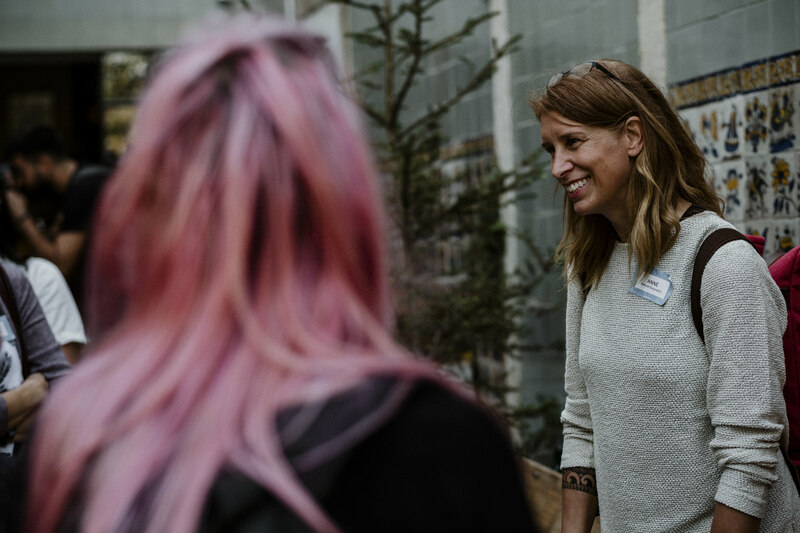 Marian, one of our incredible photographers who works in Lake Como and region, generously presented a workshop on creativity, a topic close to her heart (and a workshop which she also offers at various conferences around the world). 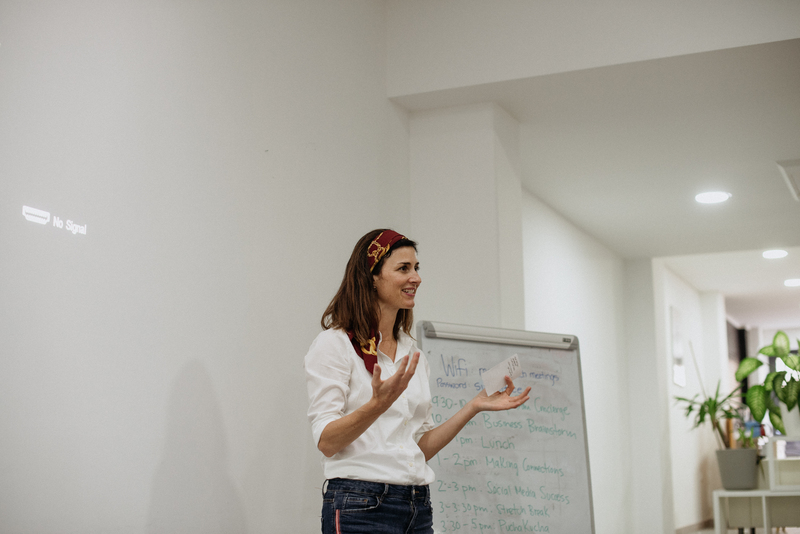 With so much soul and grace, Marian transfixed our group as she discussed ideas and practices for keeping creativity alive every day. 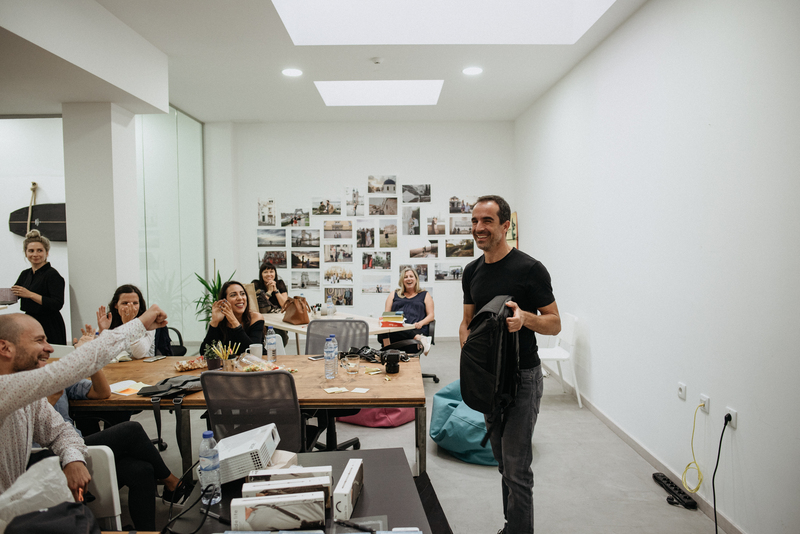 After a short lunch break, we met back at the space to hear our VIP speaker talk about storytelling. 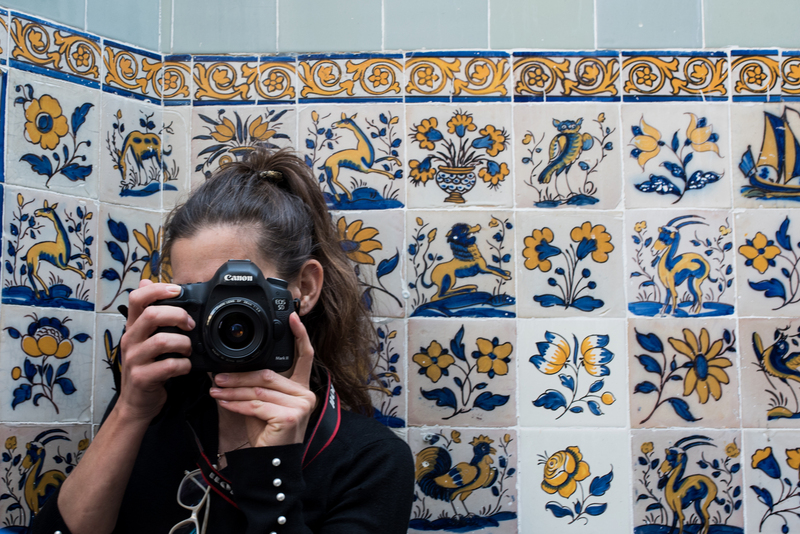 Anne Farrar is the Director of Photography for National Geographic Traveler magazine, and she provided us with so many gems related to creating, shaping and telling a visual story through the lens. 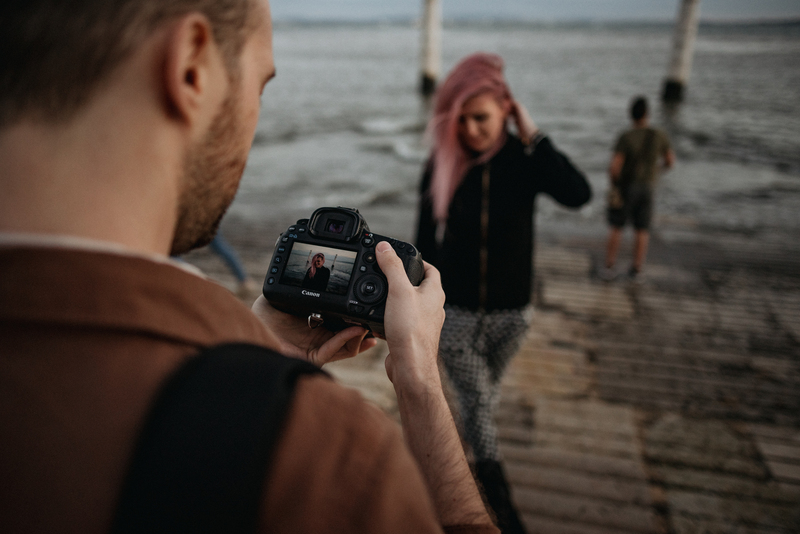 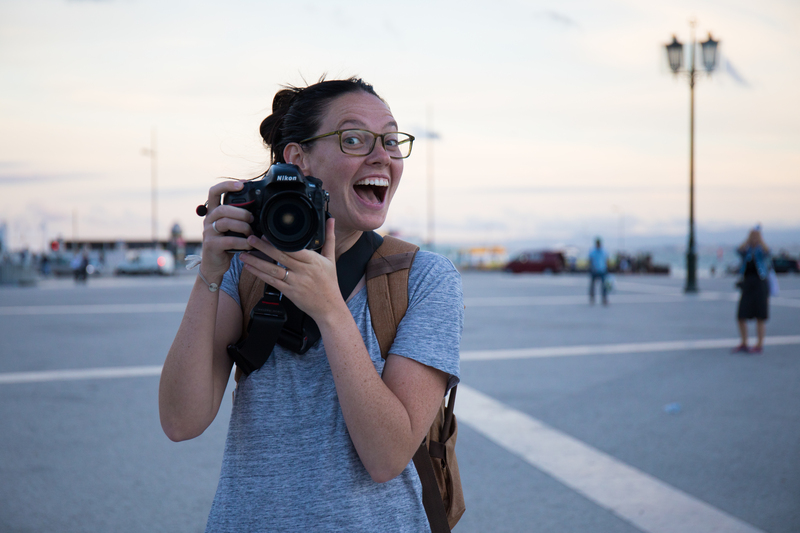 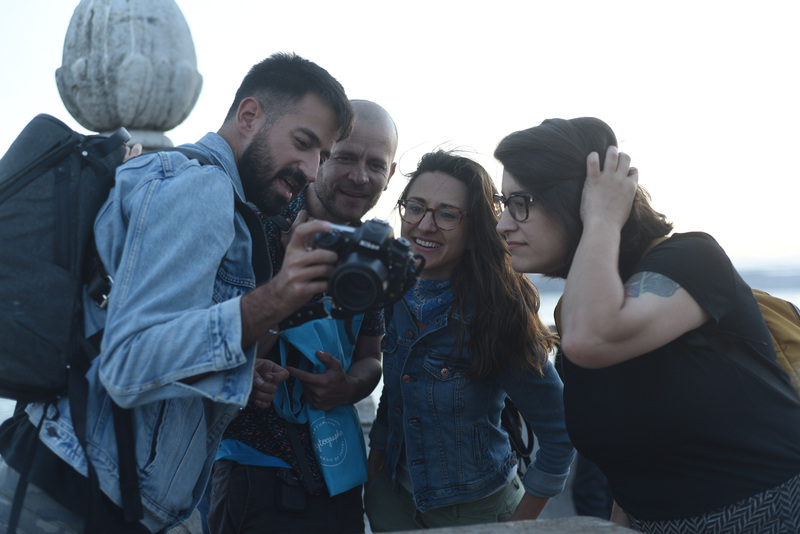 With cameras in hand, we followed her through the streets of Intendente to put theory into practice, where we asked questions and used each other as models and muse to our photo ideas. 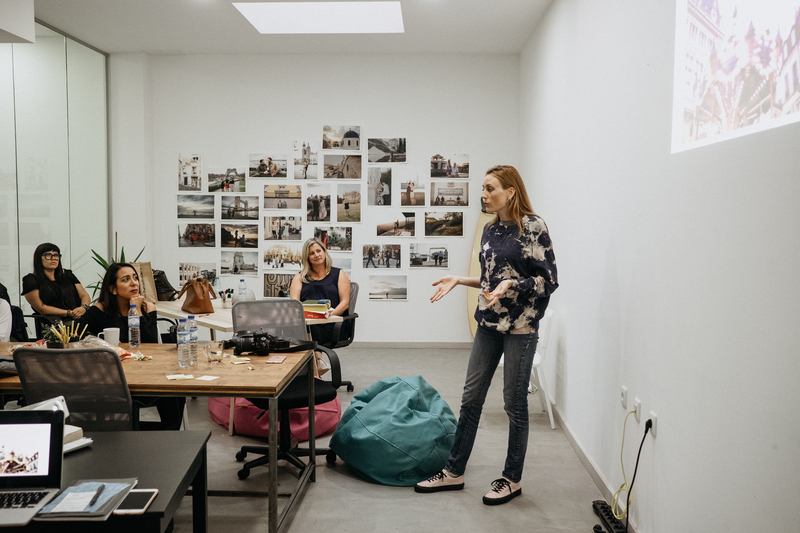 We can’t thank Anne enough for lending her expertise and experience to our group, and providing us with valuable insight to apply to our own work. 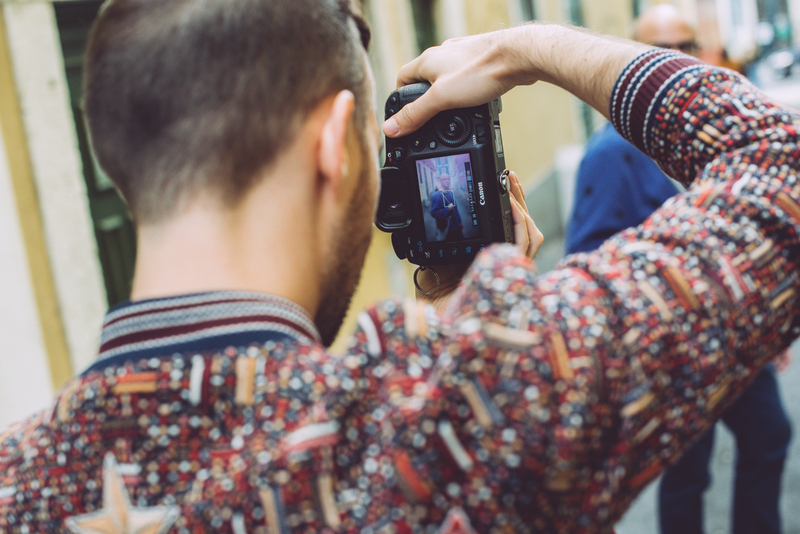 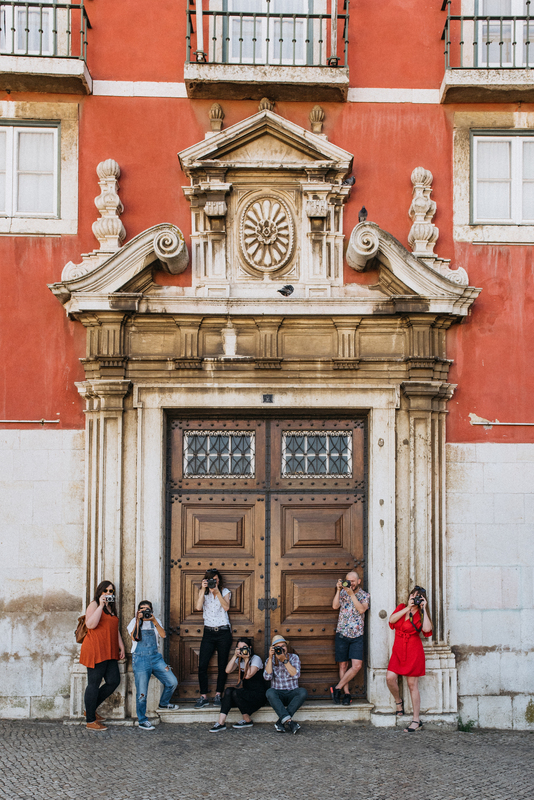 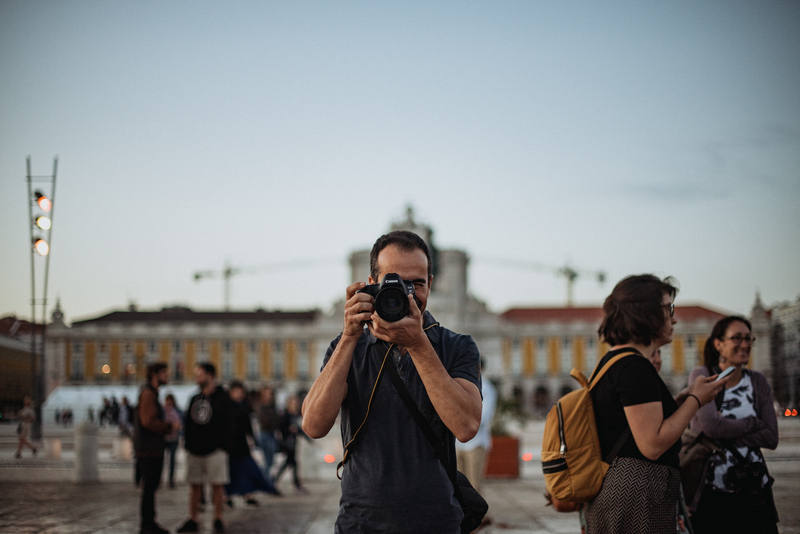 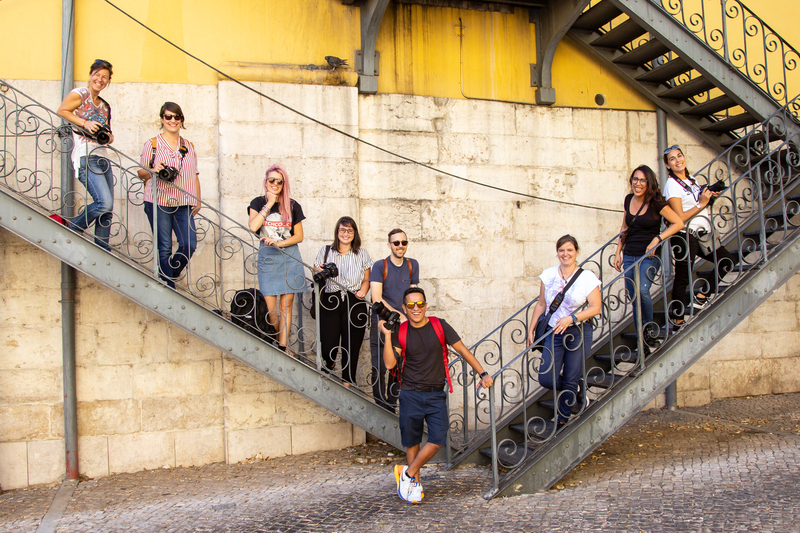 As evening approached, we reassembled for our traditional Golden Hour Photowalk, led by Lisbon photographer Gonçalo B. 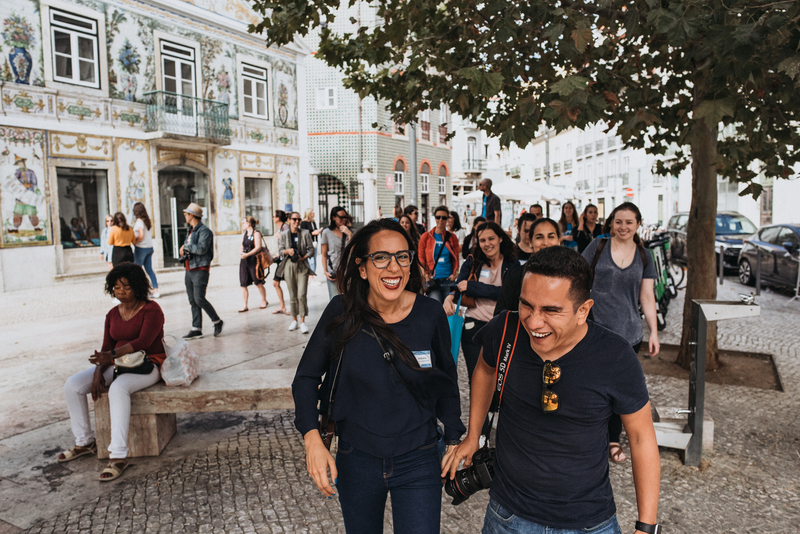 We started the walk in Praça Dom Pedro IV (Rossio), wandering the streets until we ended up at Praça do Comércio and down by the water. 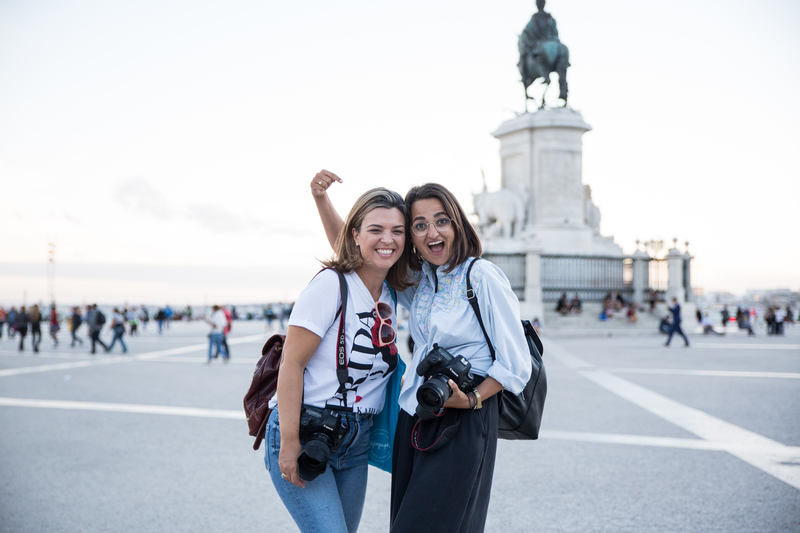 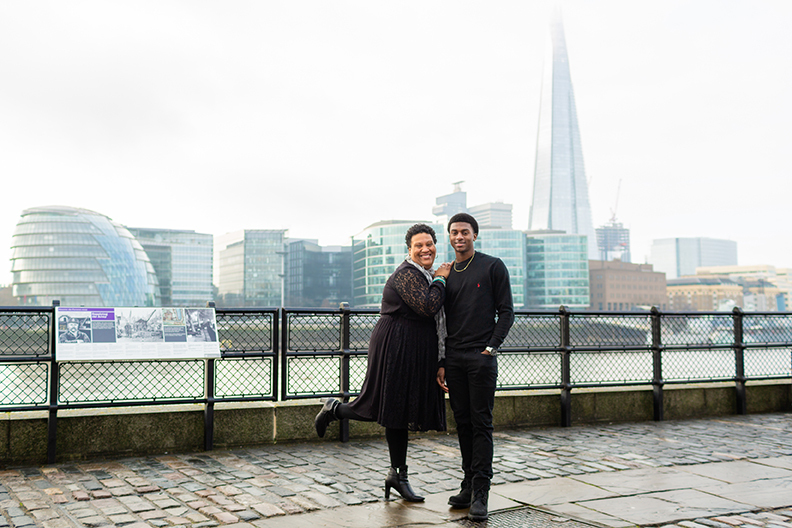 The sunset light was perfect with the Tagus River glistening in the background, and we wasted no time posing each other and capturing gorgeous portraits. 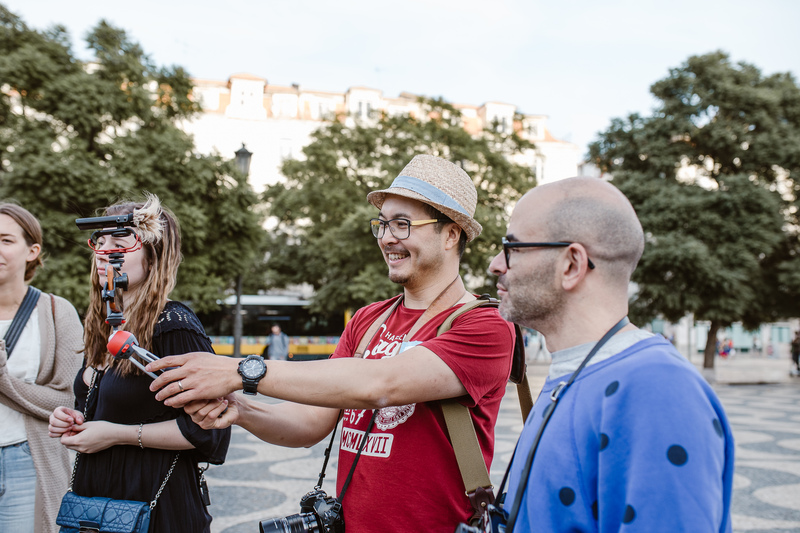 When eventually it became too dark to shoot, we strolled back towards the city for a team dinner. 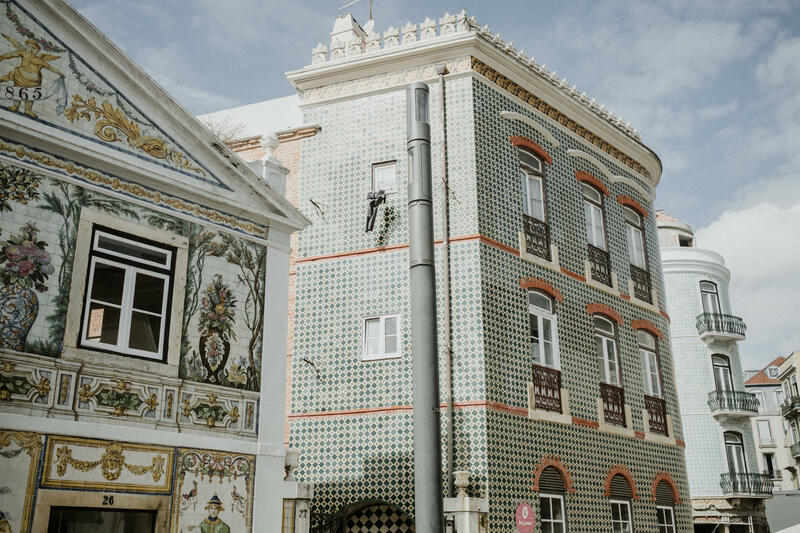 Nestled into a courtyard in Chiado, Café Fábulas seated us at a long, family-style table and served a delicious menu of grilled octopus, bacalhau, risotto, and vegetarian strudel, accompanied by delicious Portuguese wine and sweets. 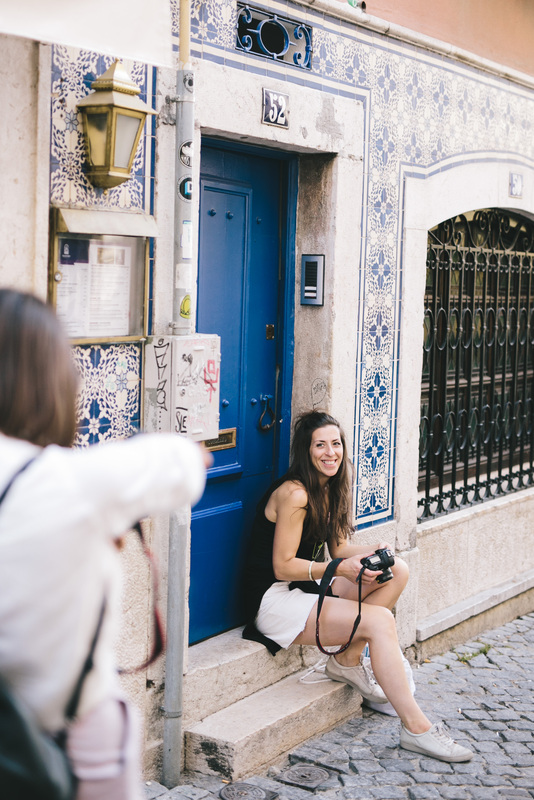 Bellies filled, we rolled back out into the street in search of a photo booth, gelato, or home. 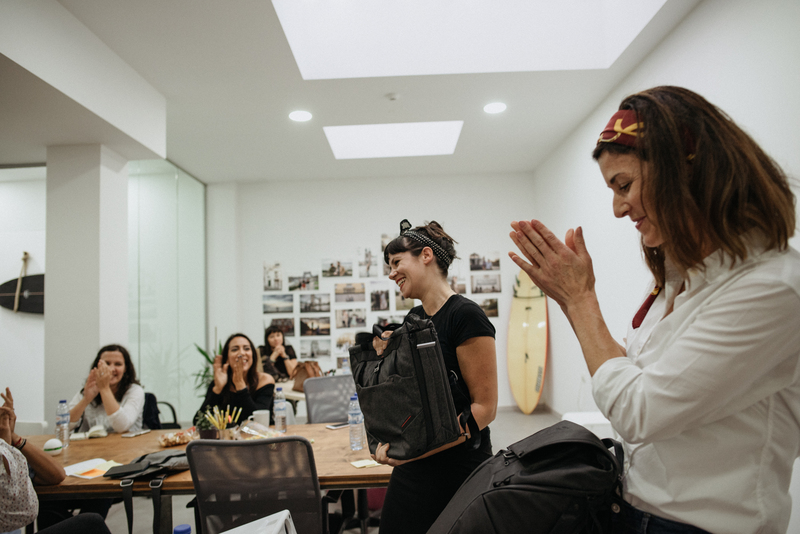 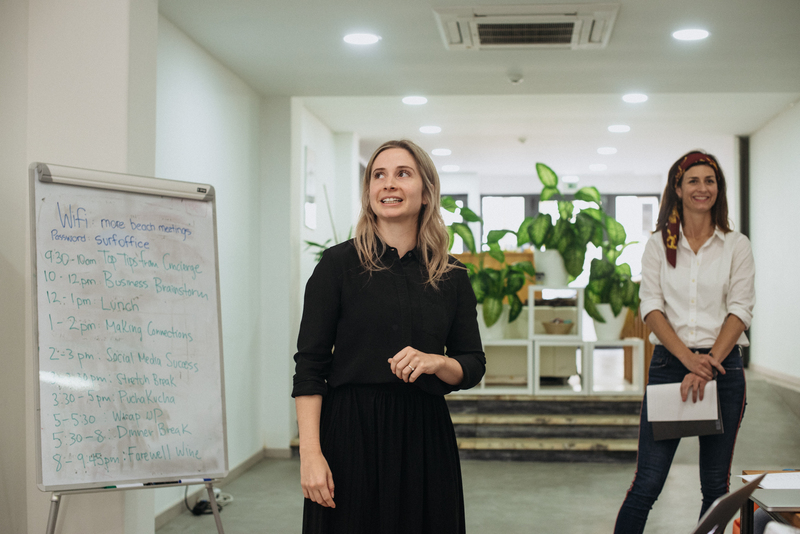 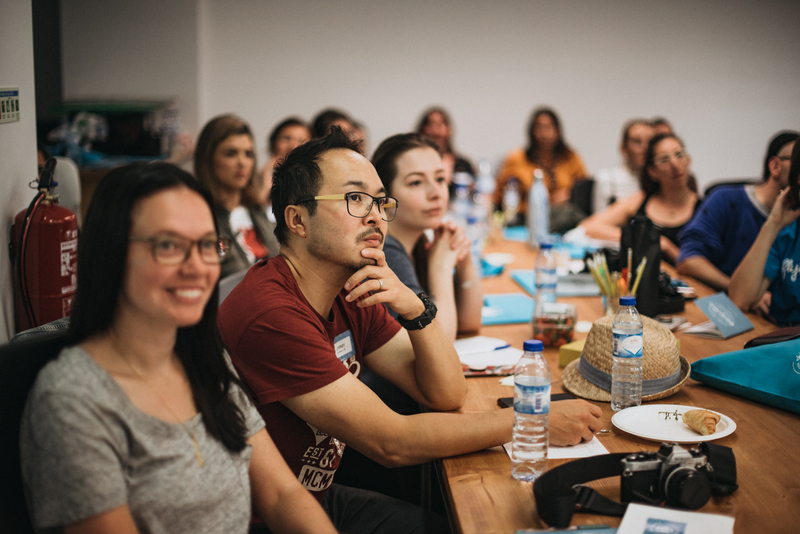 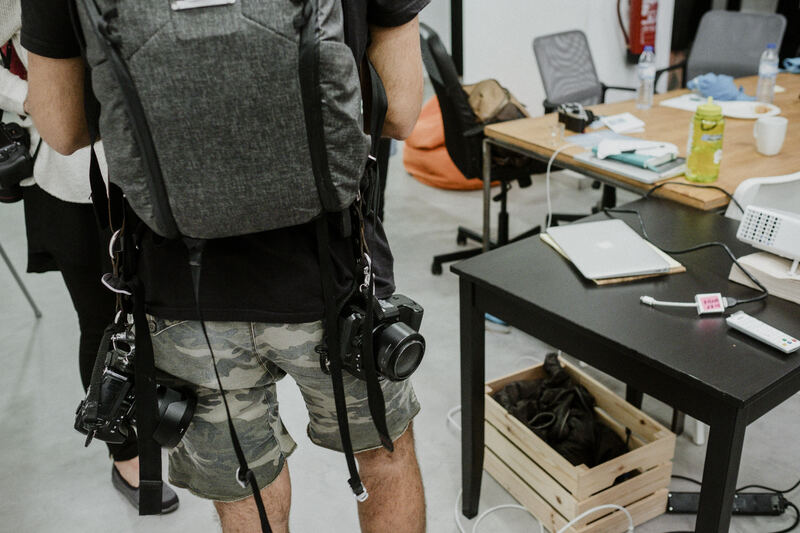 Our final day saw us bright and early back at our meetup space, ready to hear the team from HQ discuss best Flytographer practices and conduct a little business brainstorming. 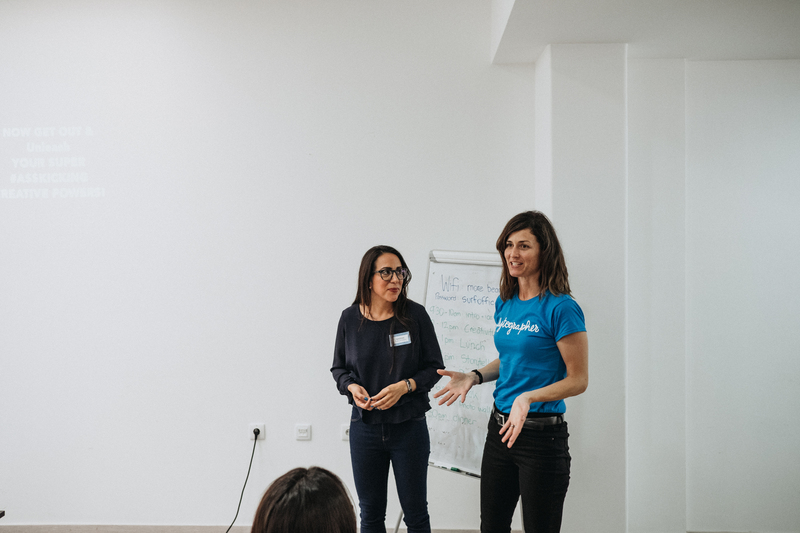 After lunch, Marian again took to the stage to discuss the importance of connections, and then our founder, Nicole, gave some tips on finding success with social media. 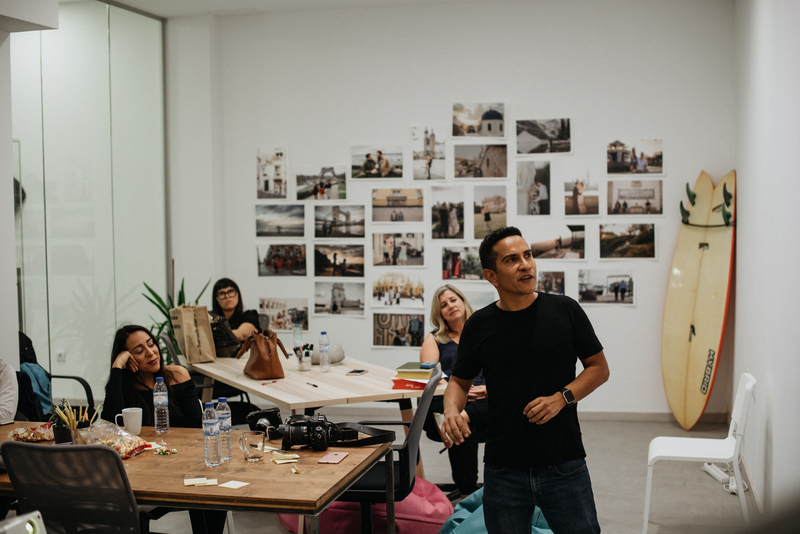 After a tiny stretch break, we sat back down, eager for the first Flytographer PechaKucha 20X20, a presentation format whereby each presenter gets 20 slides and 20 seconds per slide to talk. 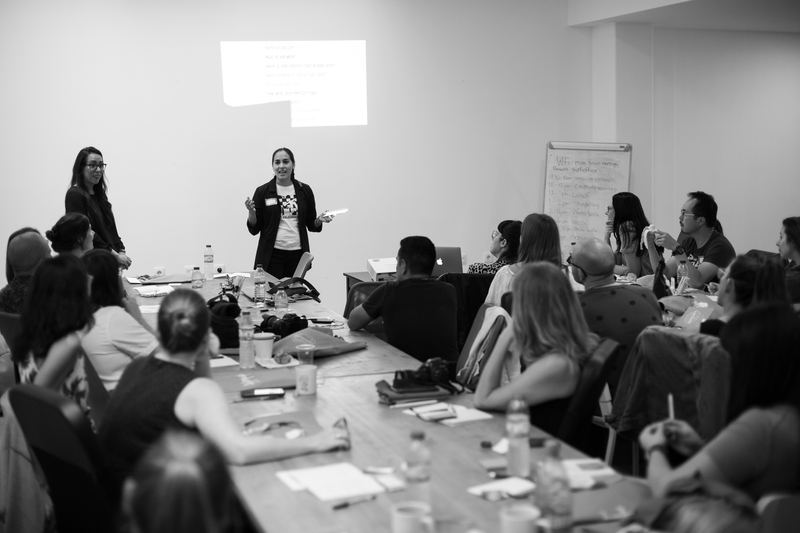 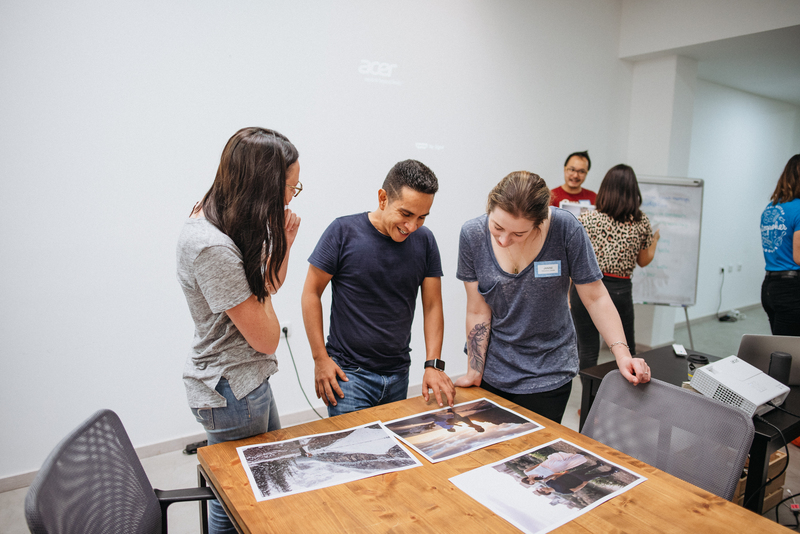 We were blown away by the images and stories of Juan Felipe from Bogotá, Claudia from Cancún, Kimon from Santorini, Katie from LA, Daniel from Puerto Vallarta, Jimmy from London, and Lyndsay from Banff/Calgary, all who were brave enough to get up in front of everyone and present their personal projects and ideas. 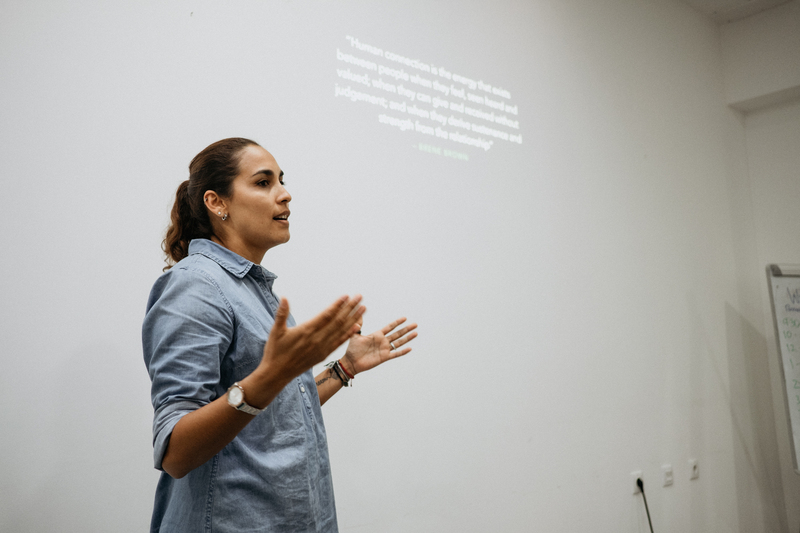 I was so inspired to hear their passion wrapped around every word. 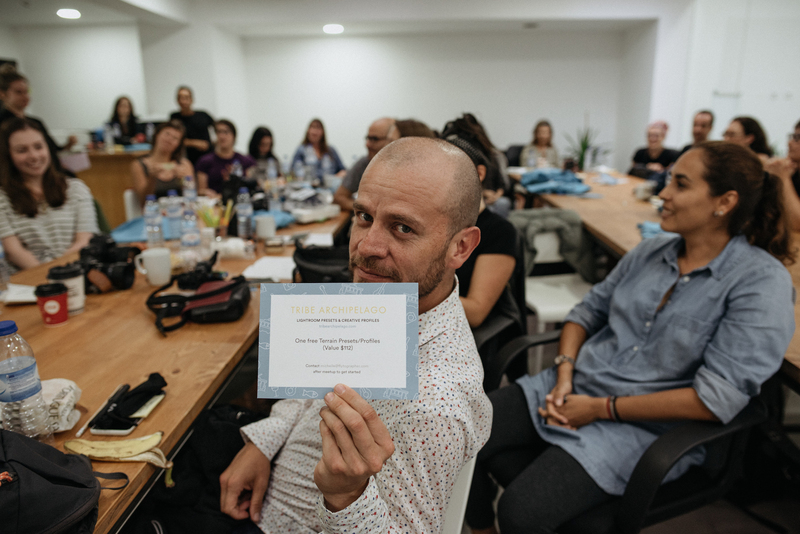 We ended our time in the workshop space with a draw for some incredible giveaways from our awesome Meetup sponsors. 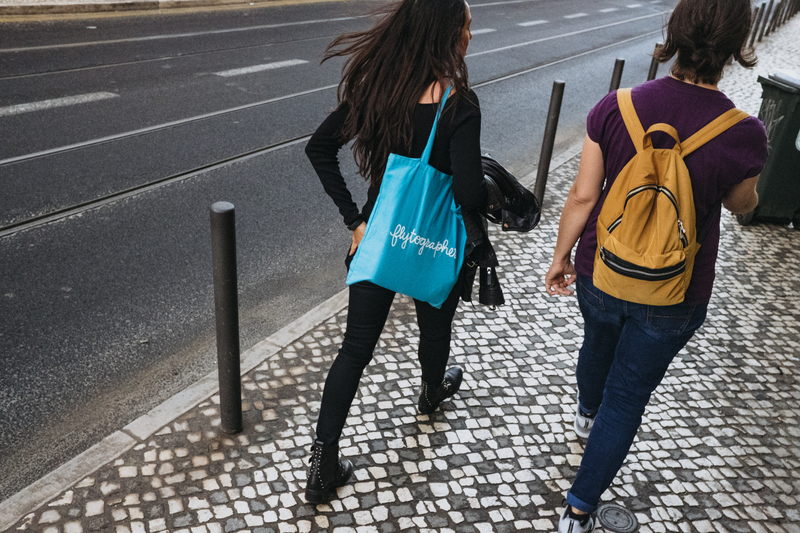 Huge thanks and shoutouts to uber-generous Peak Design for donating bags and straps (Have you seen their products yet? 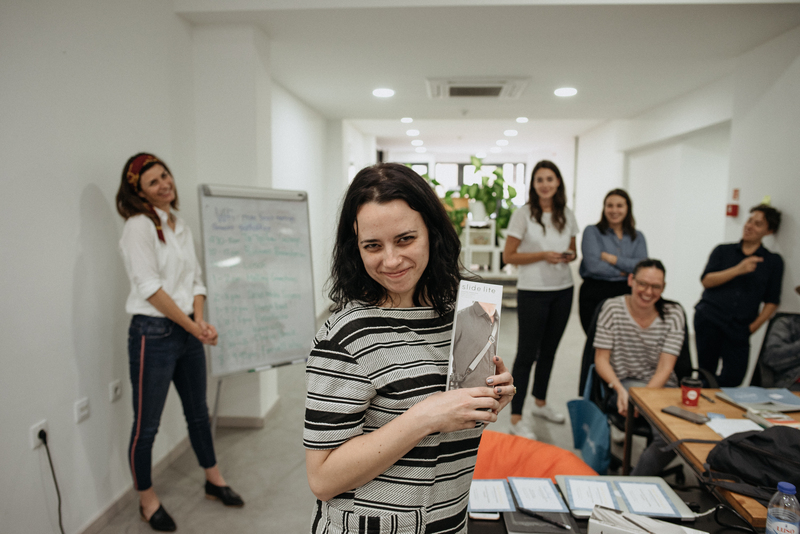 They are fantastic – well-designed and well-made. 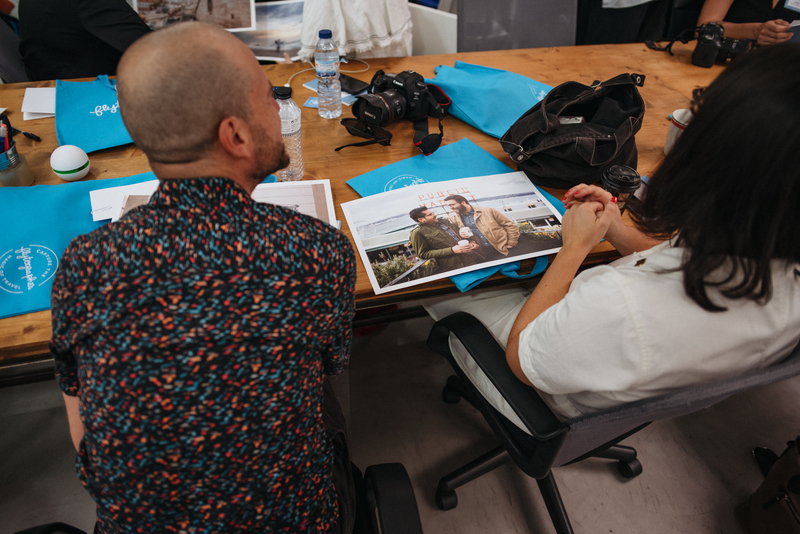 Several of our photographers were already long-time fans and came equipped with their own beloved gear); to Tribe Archipelago for some cool new presets; and to ShootProof for offering a full gallery plan to one lucky winner. 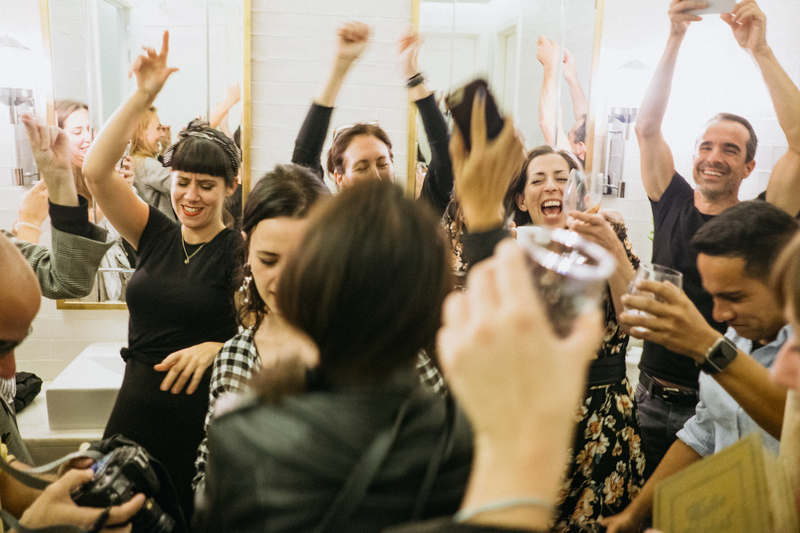 And in the end, what’s left to do but celebrate? 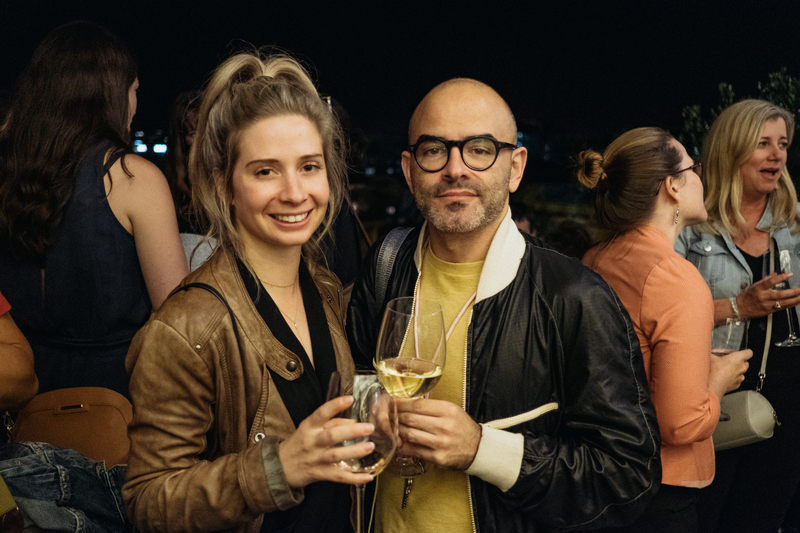 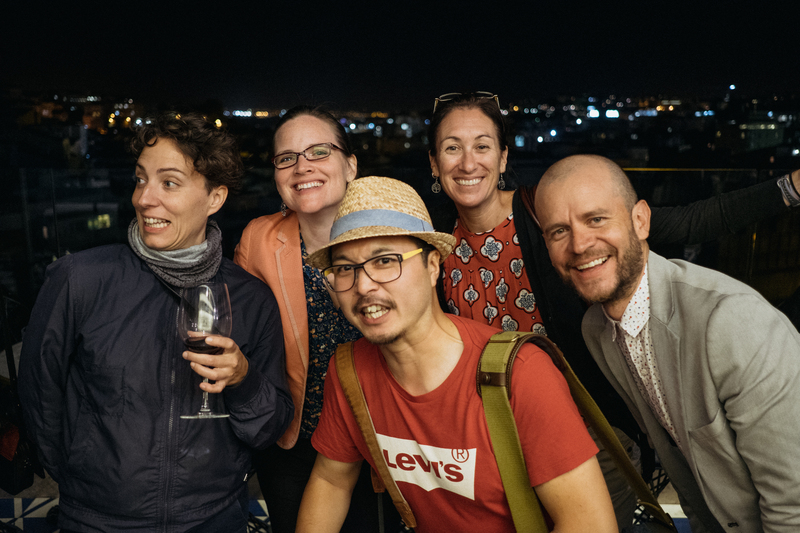 Everyone met at a hotel rooftop bar for our farewell, where the wine, stories and fun overflowed. 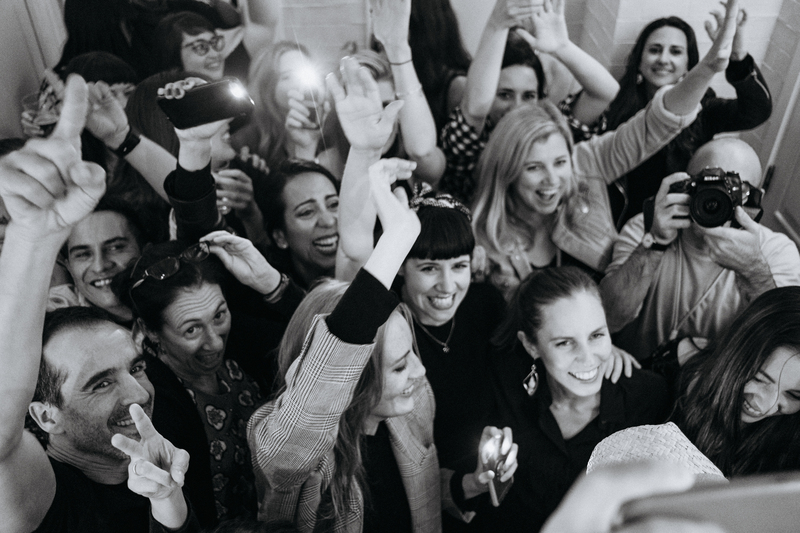 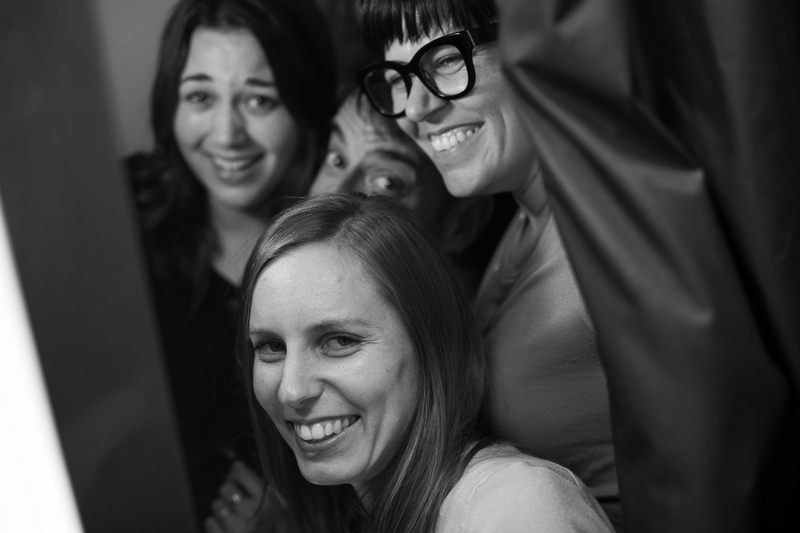 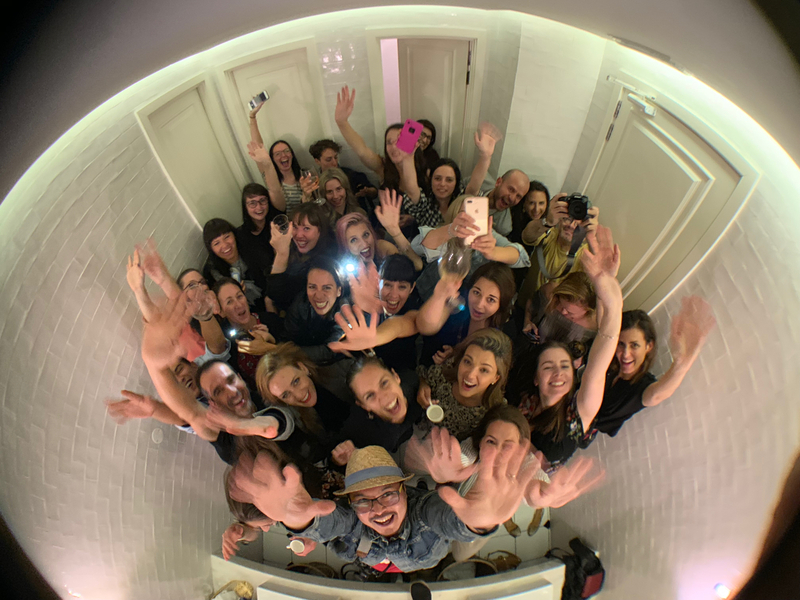 Eager to move on to a dance club, we left the bar after a couple hours – but first squeezed into one of the hotel’s public washrooms for our traditional “bathroom party” (see where it all started in the Barcelona 2016 post). 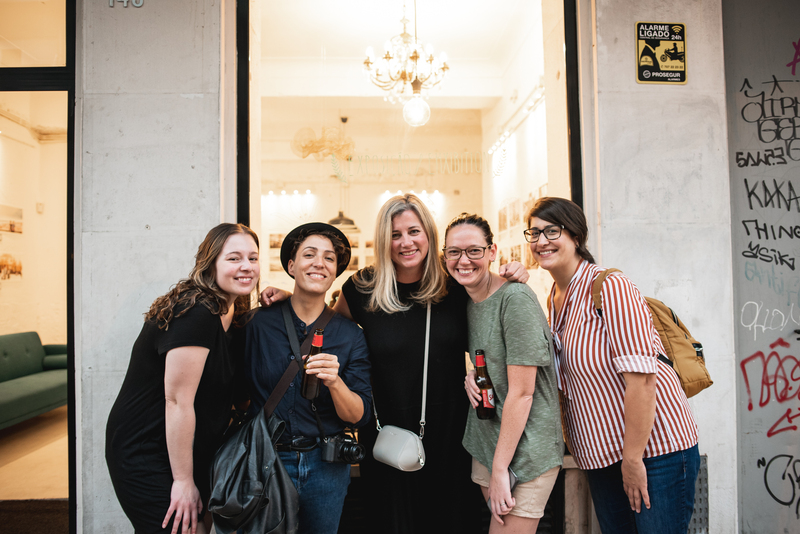 Lisbon embraced us well into the wee hours of the morning, watching us dance and sing, laugh and cry (happy tears, of course), all while knitting our friendships together even tighter.